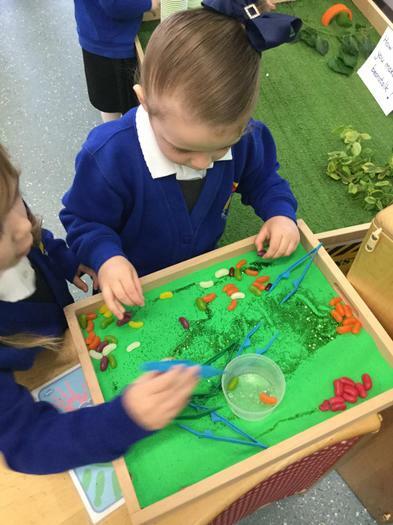 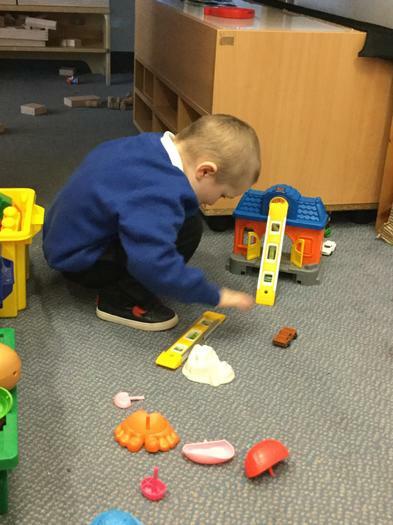 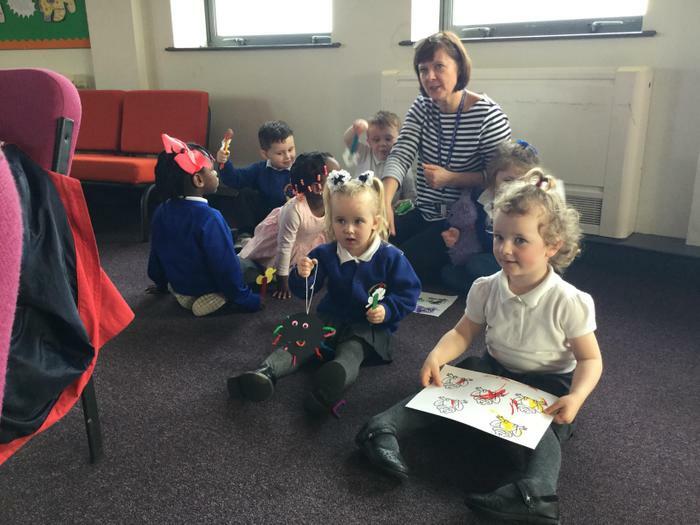 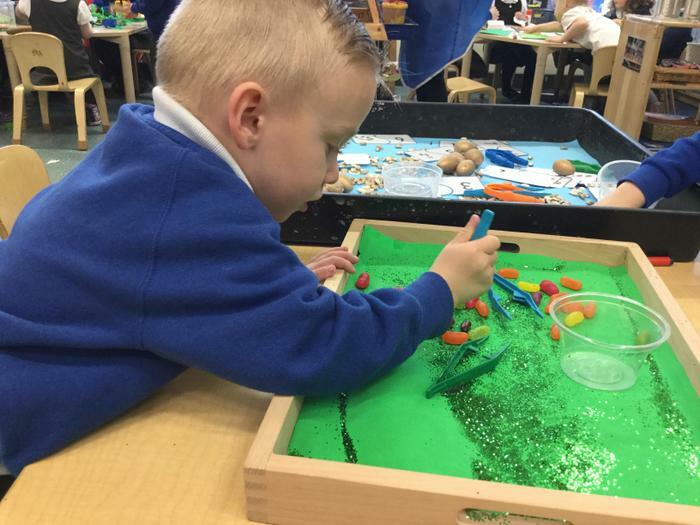 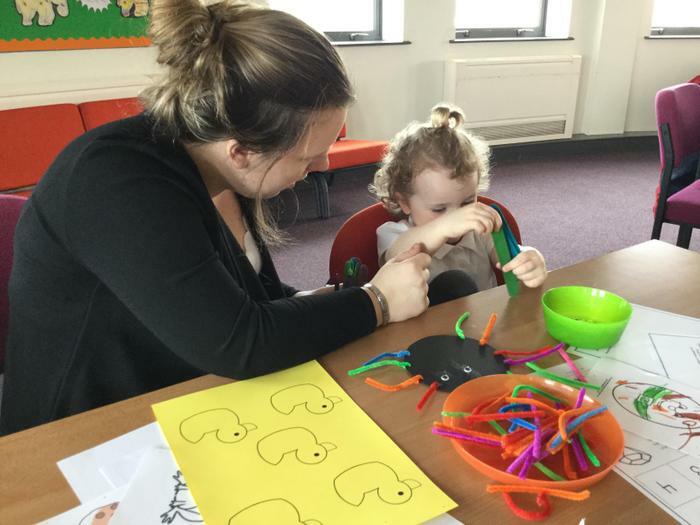 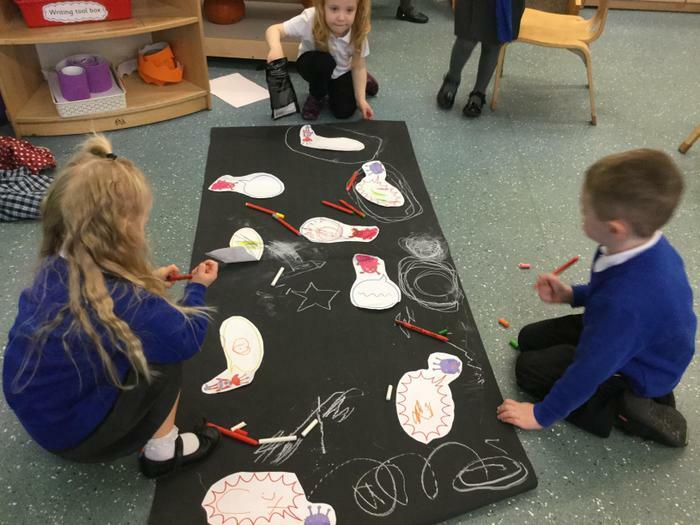 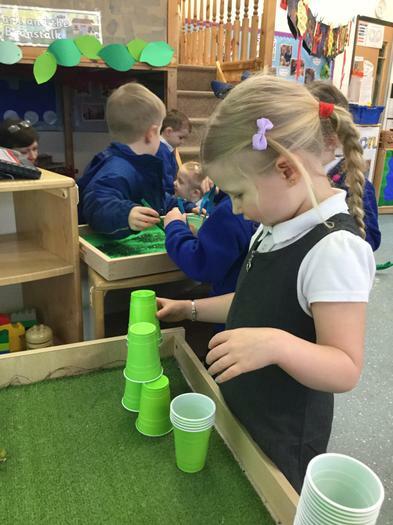 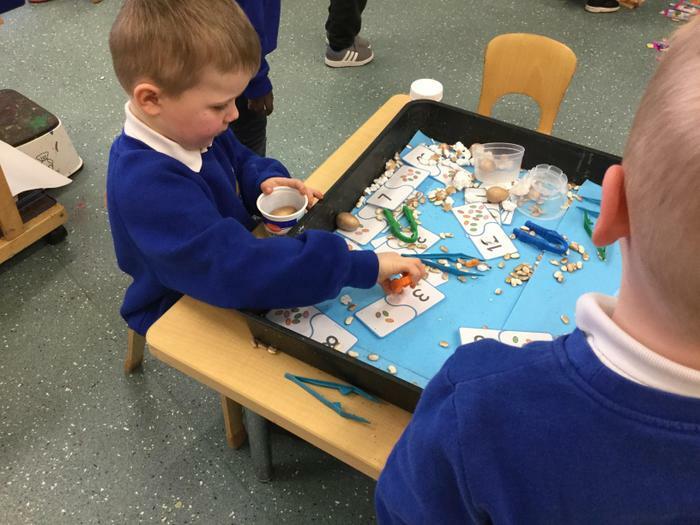 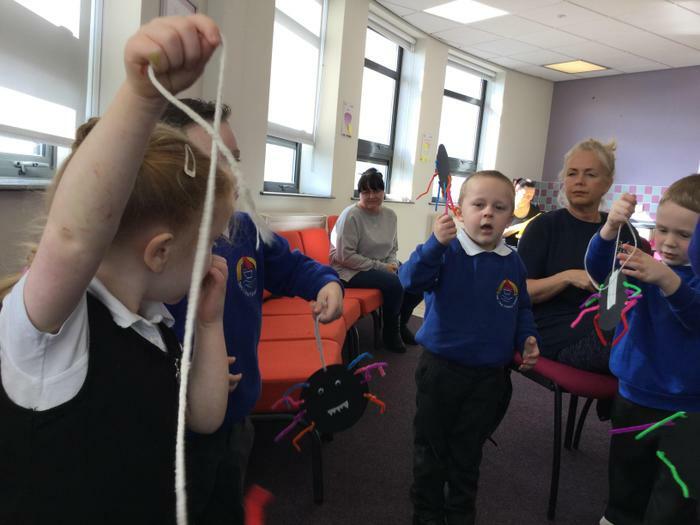 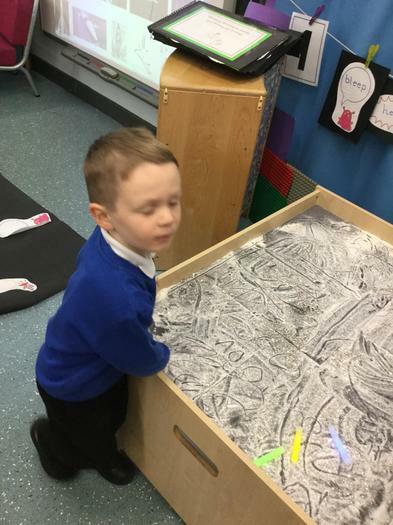 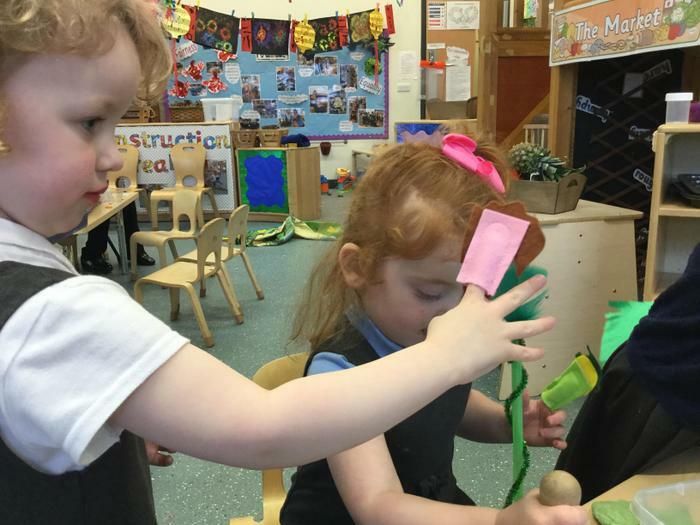 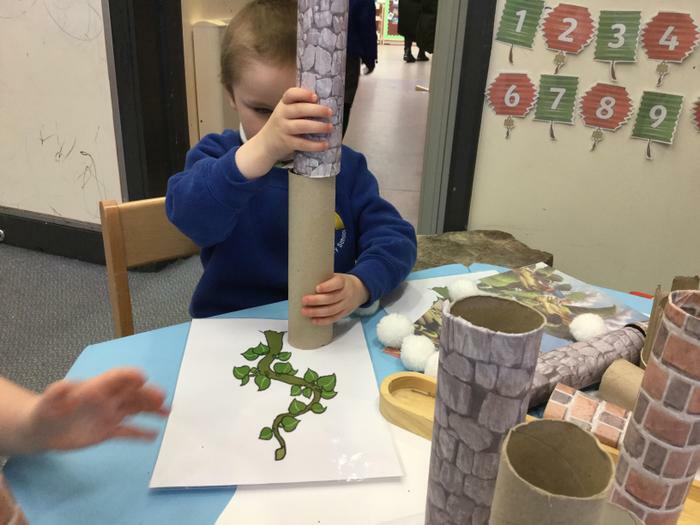 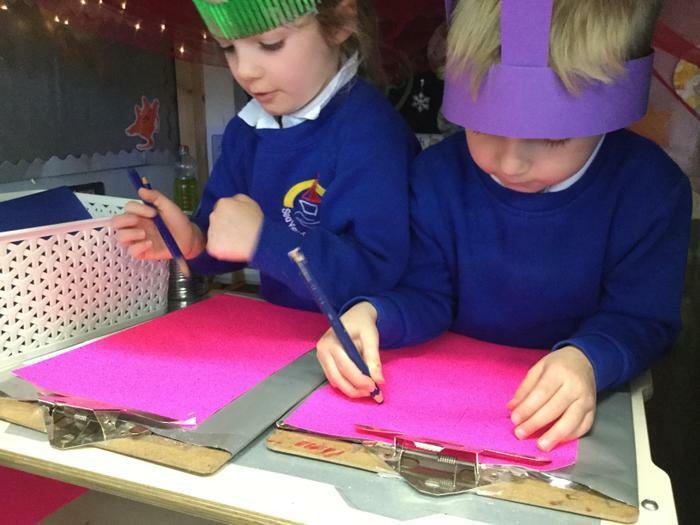 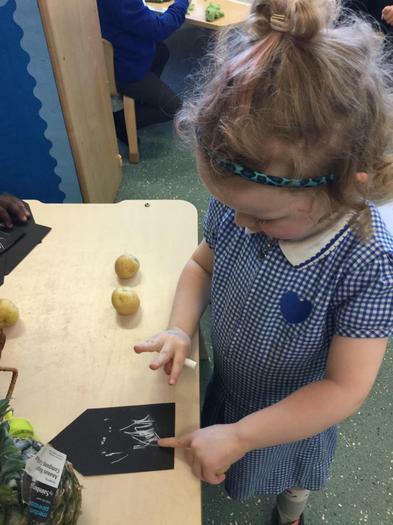 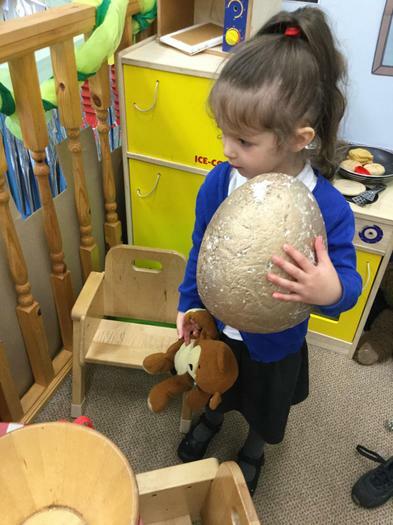 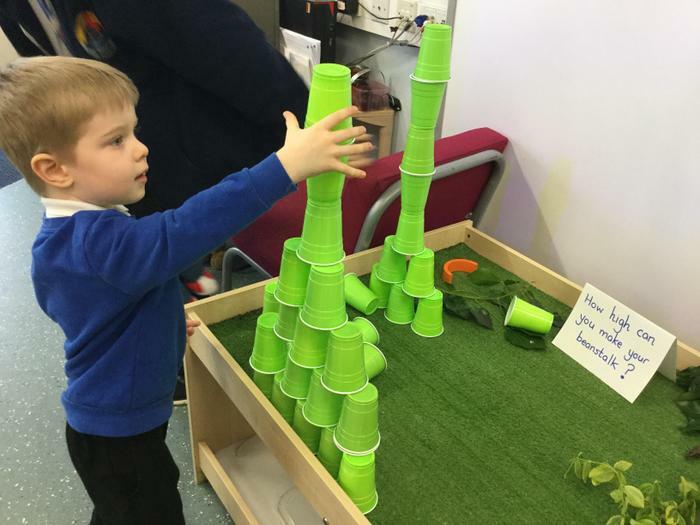 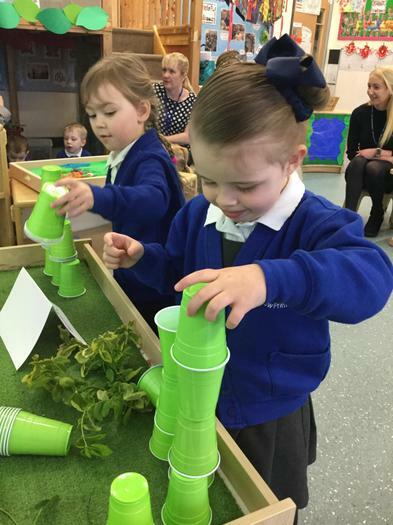 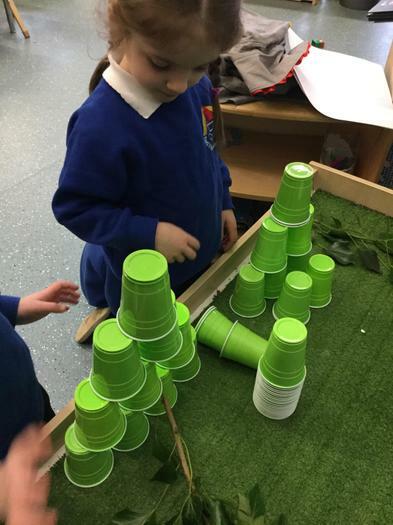 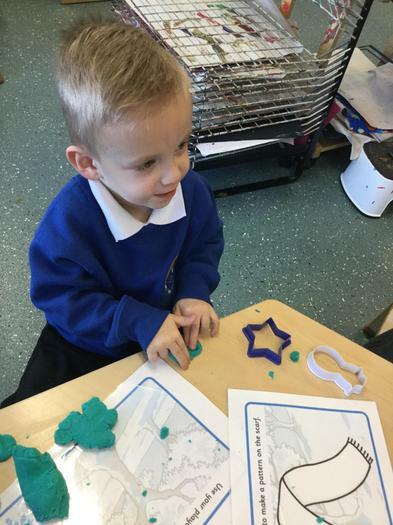 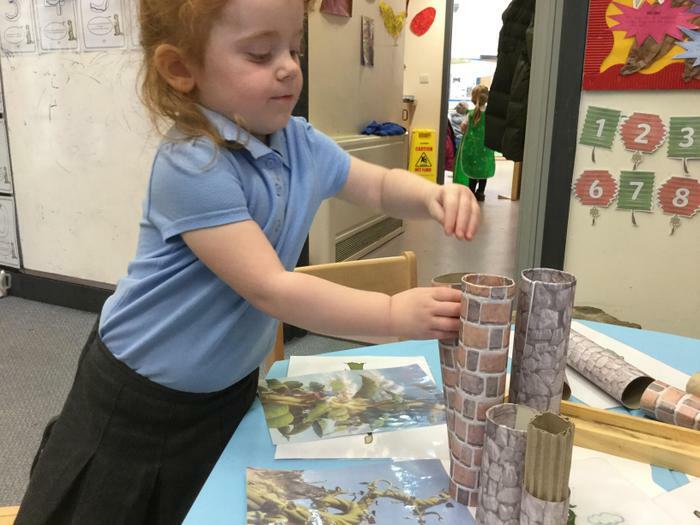 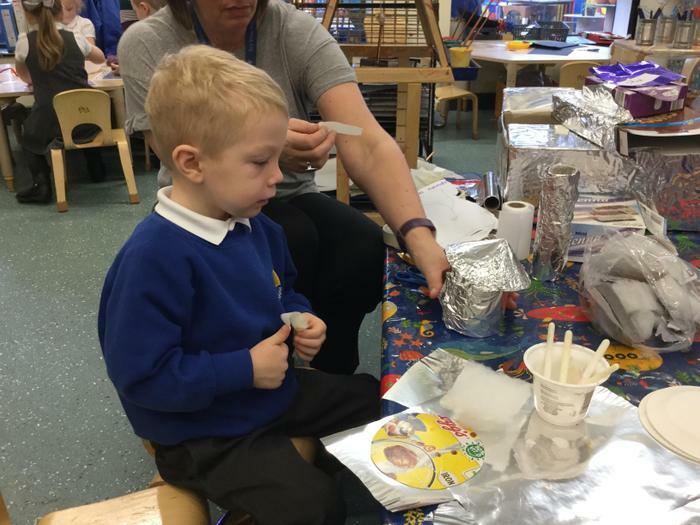 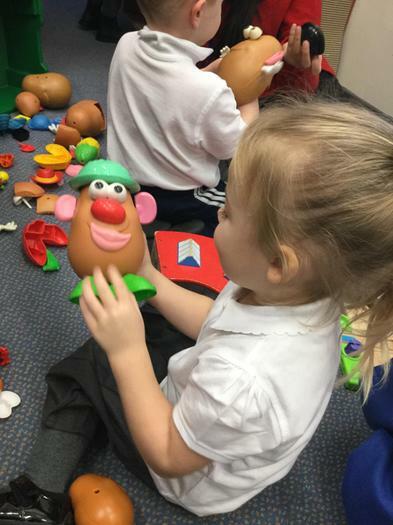 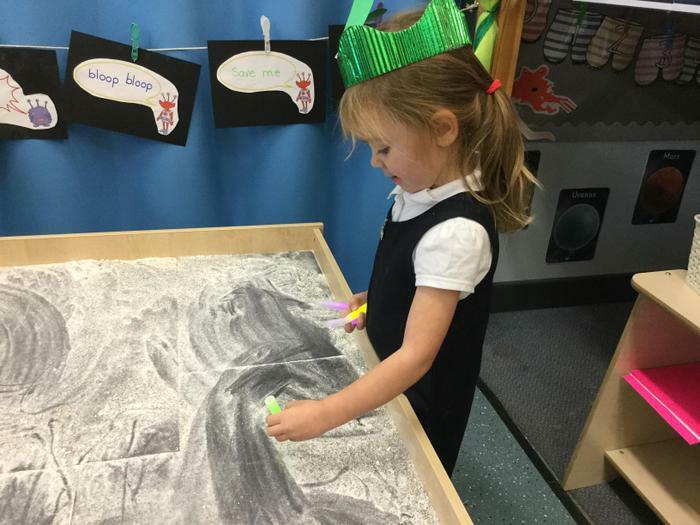 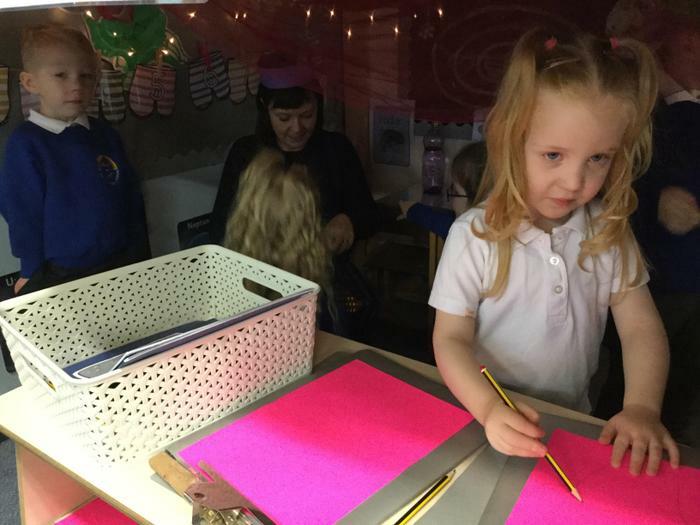 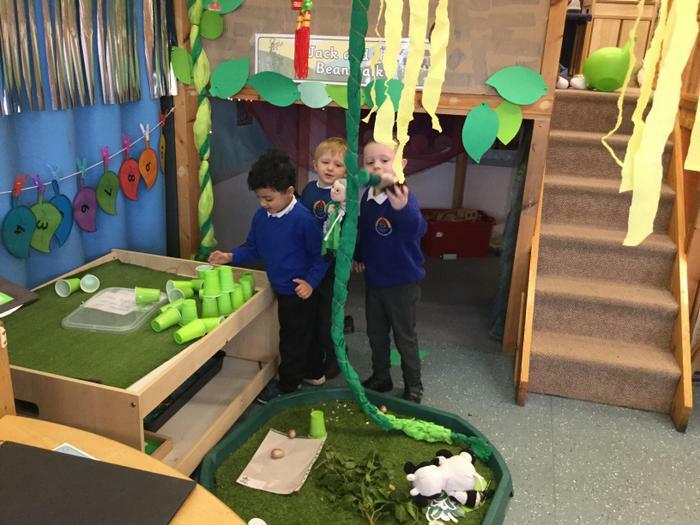 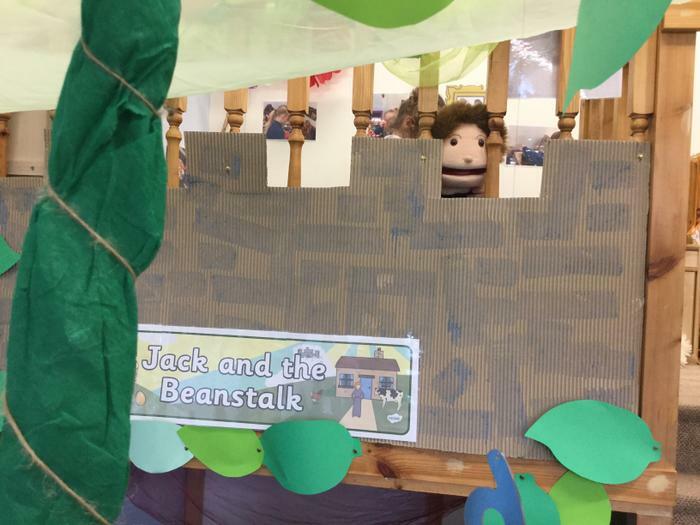 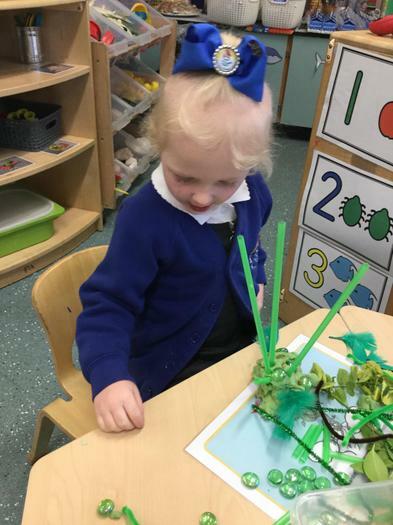 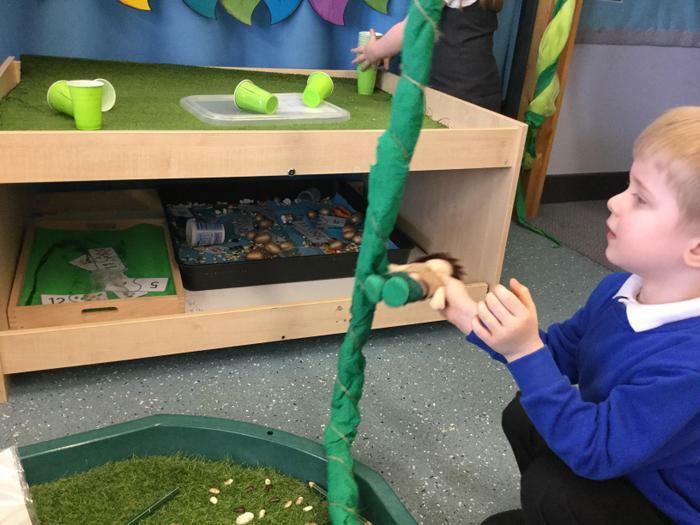 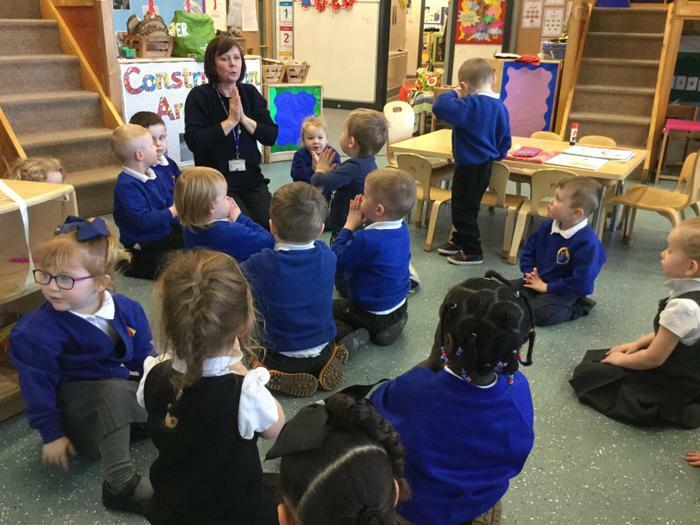 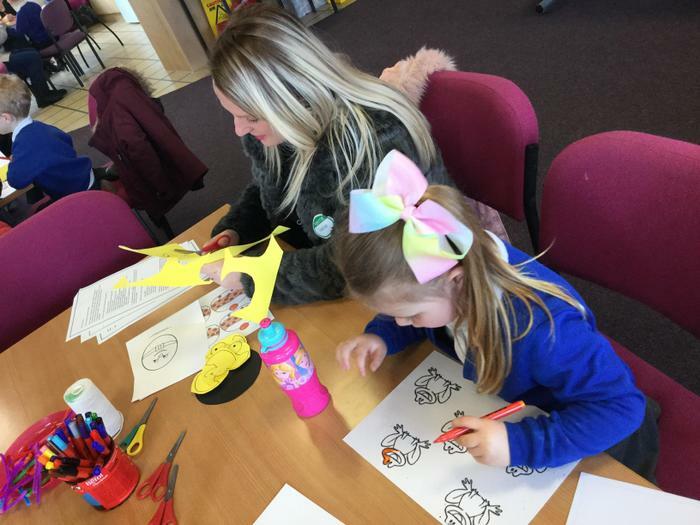 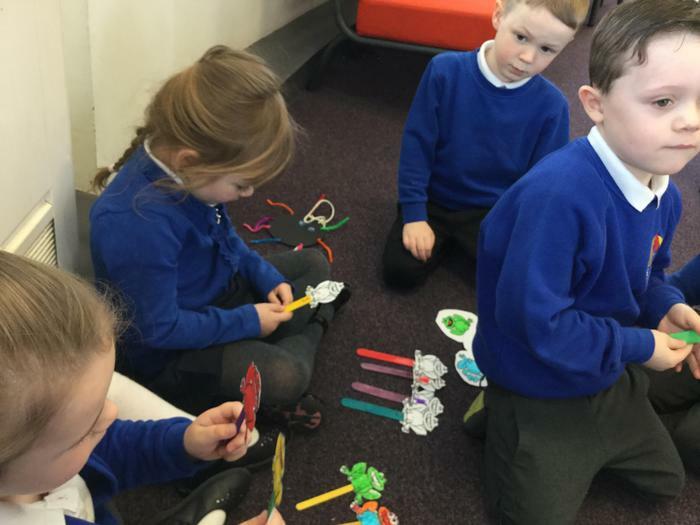 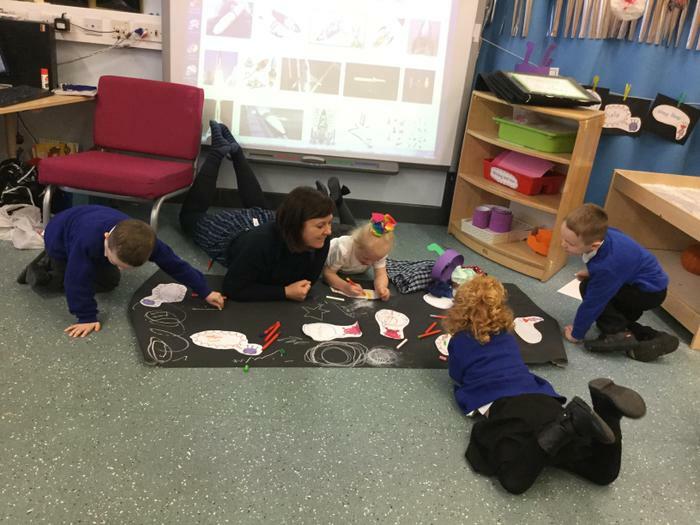 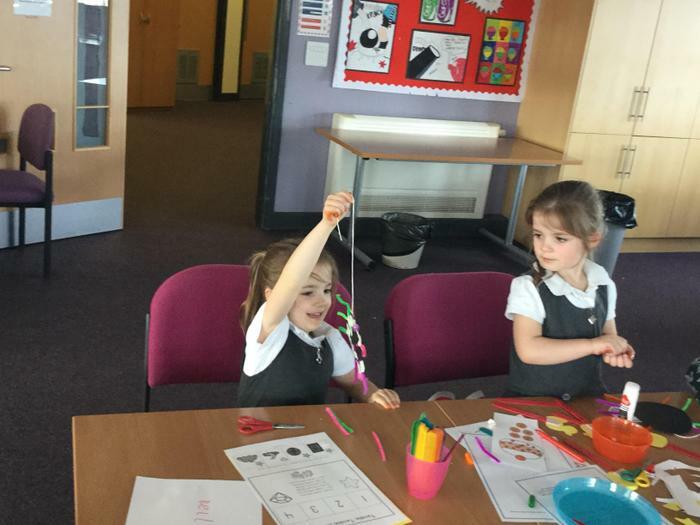 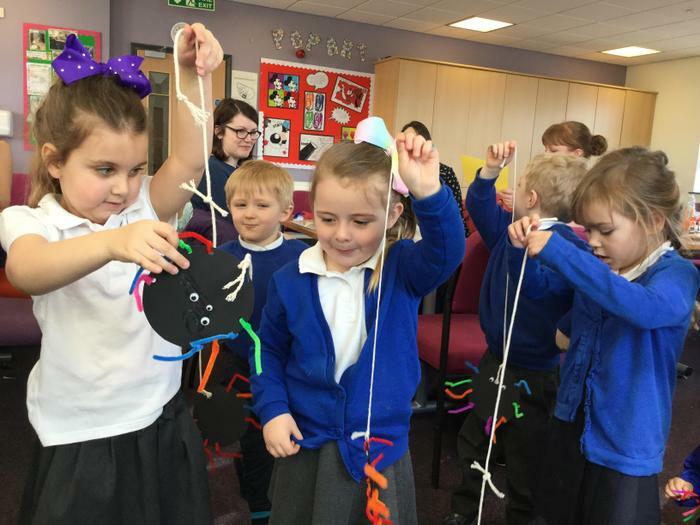 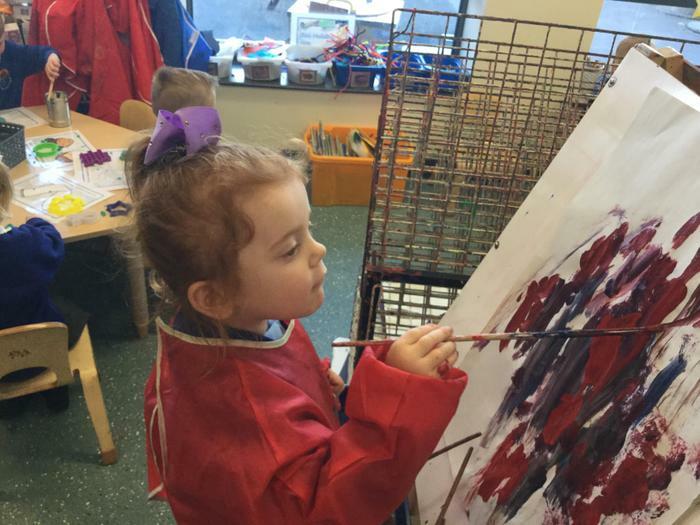 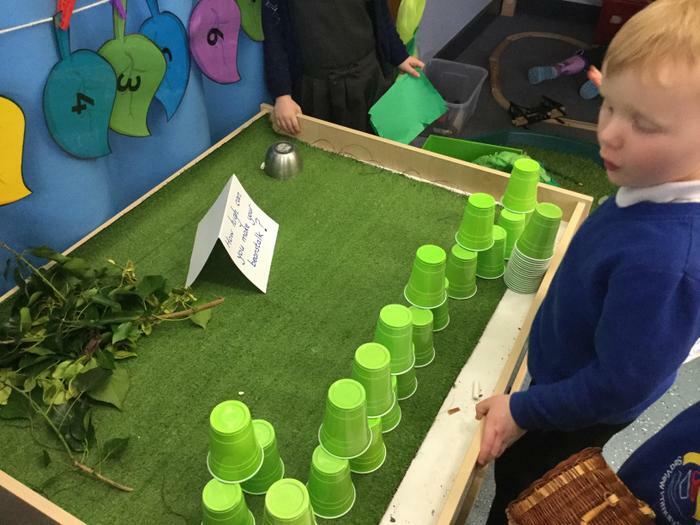 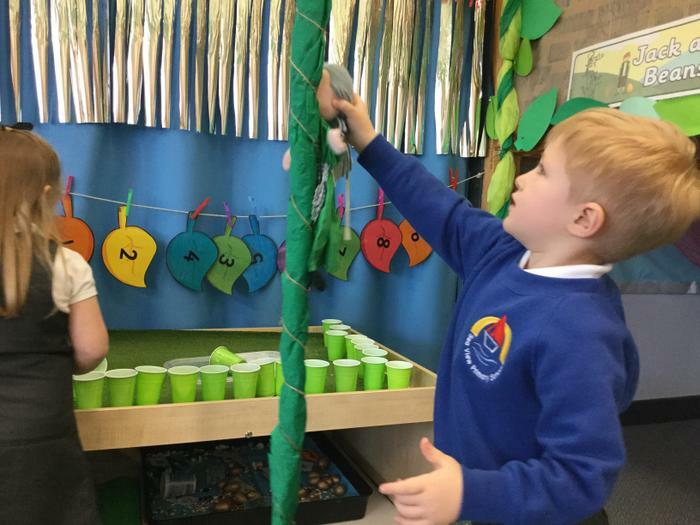 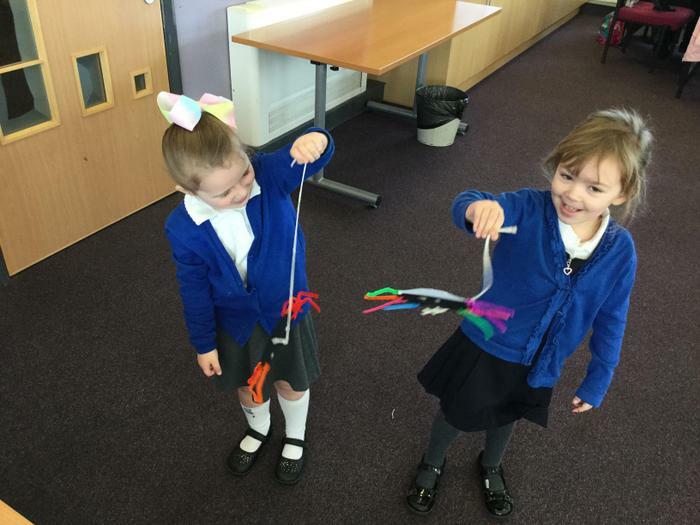 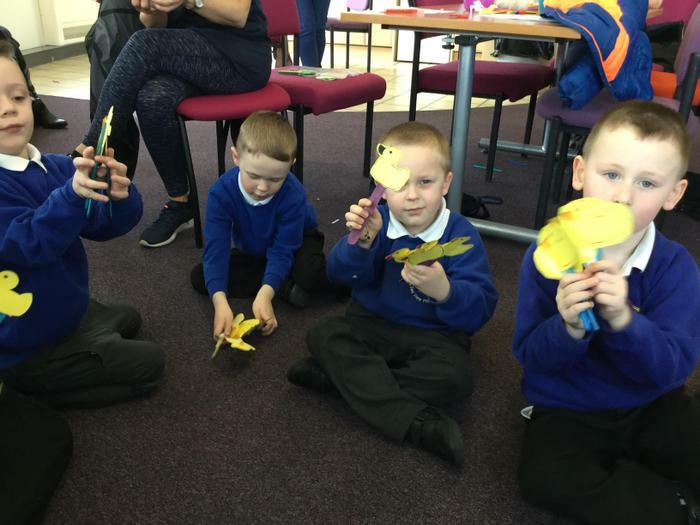 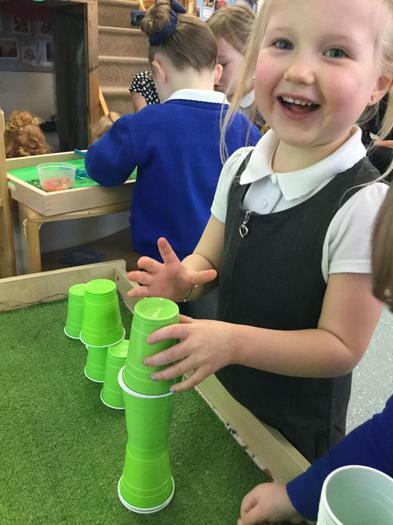 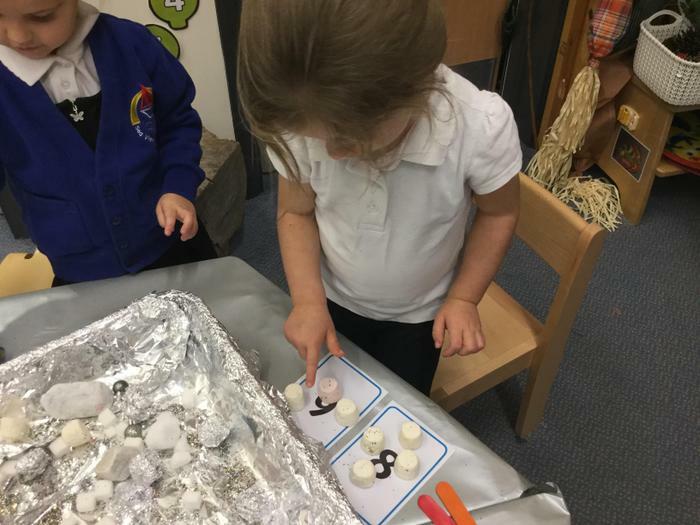 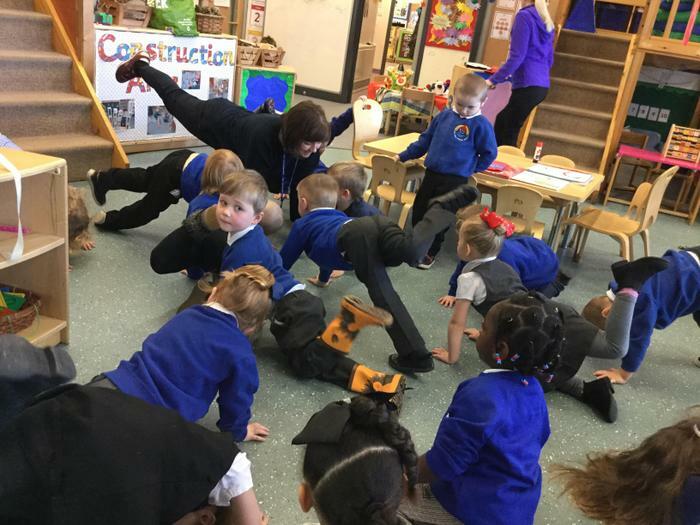 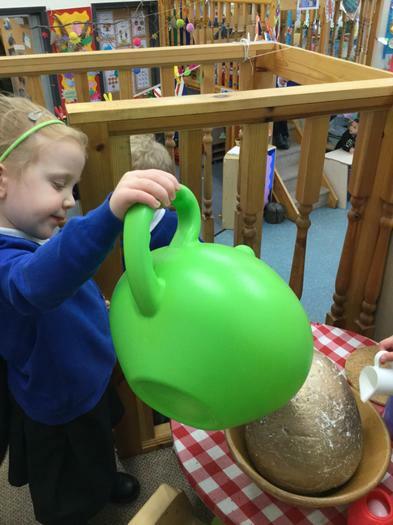 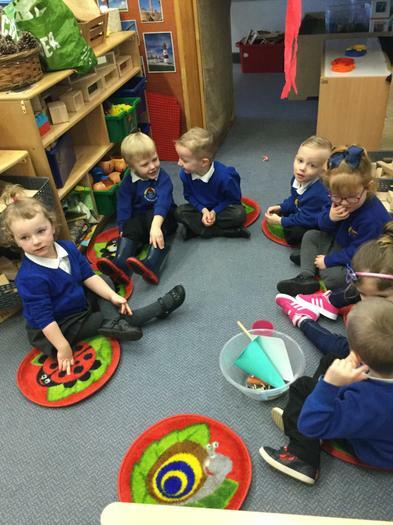 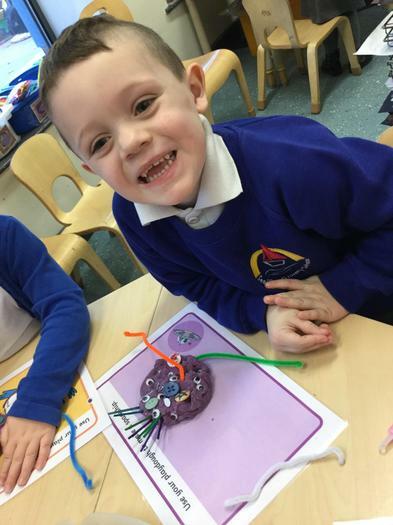 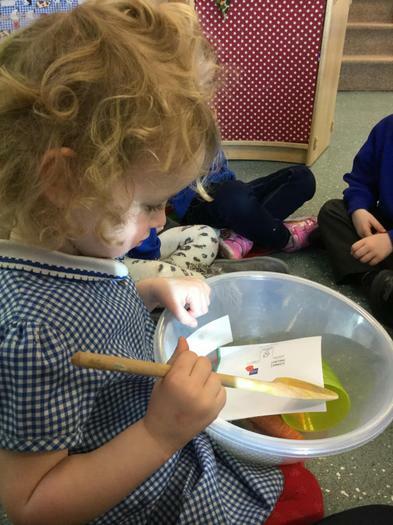 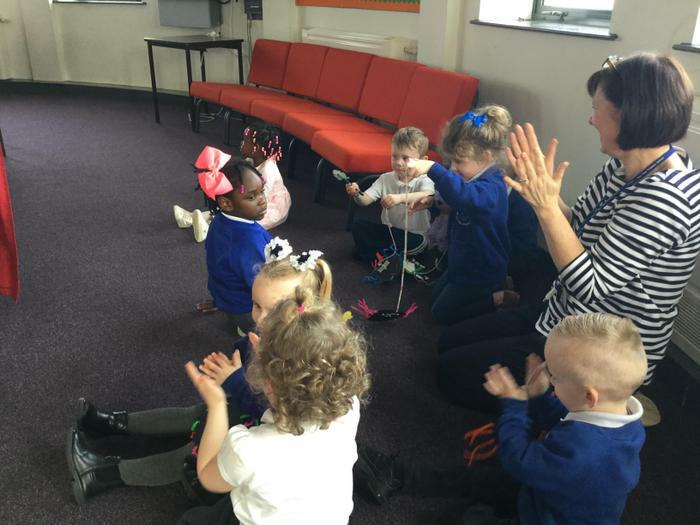 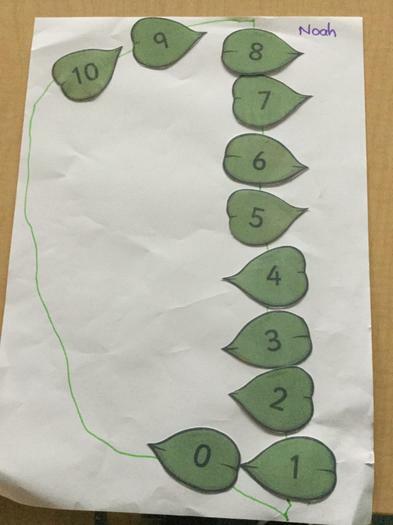 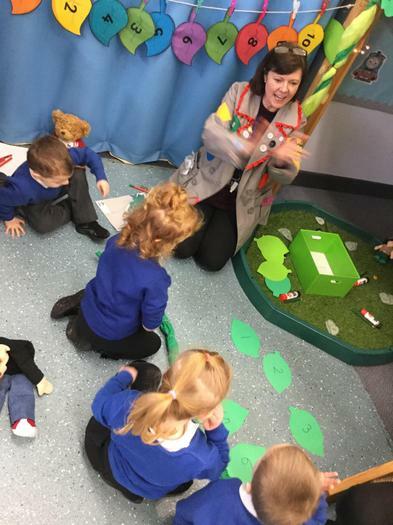 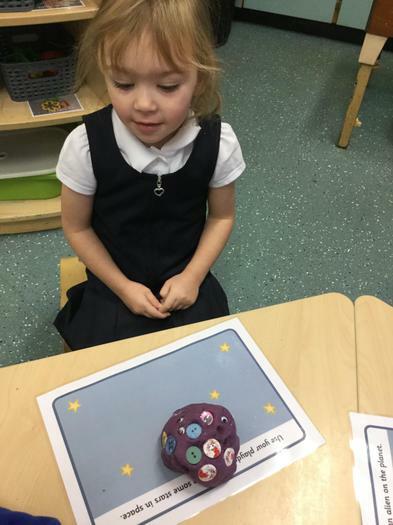 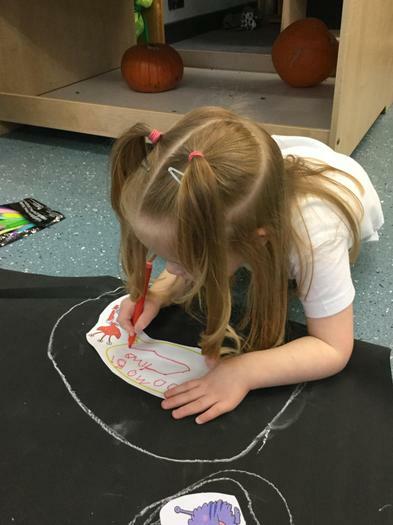 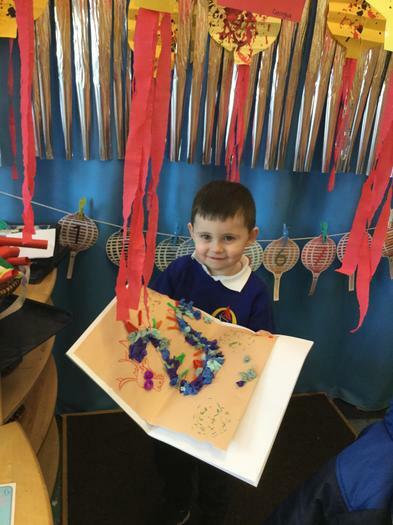 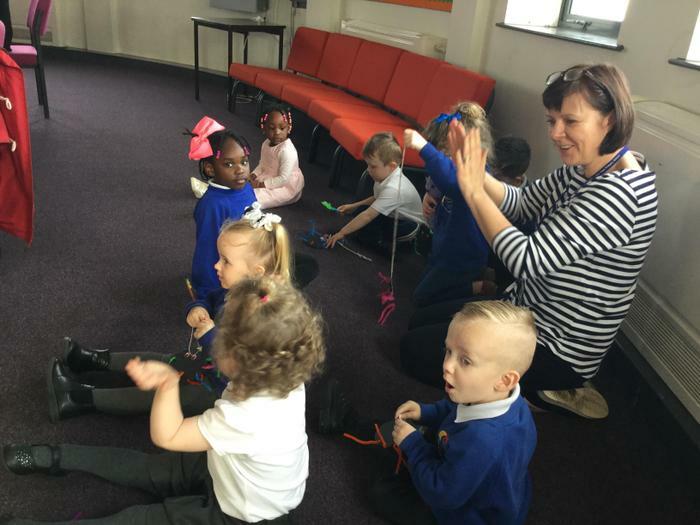 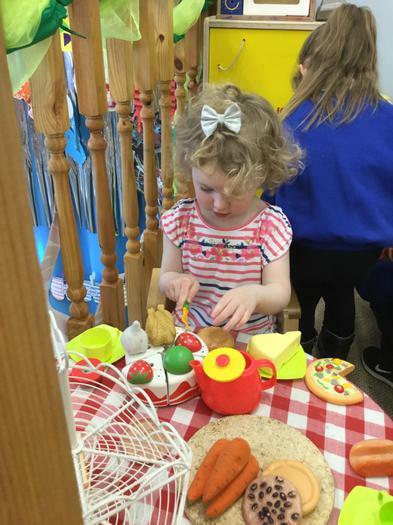 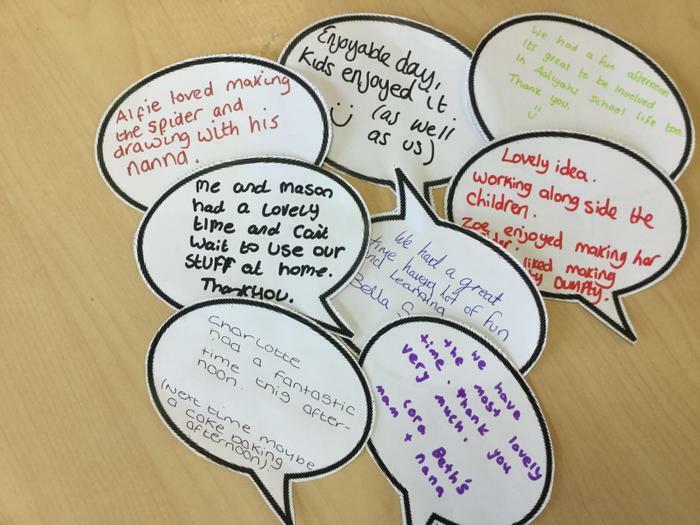 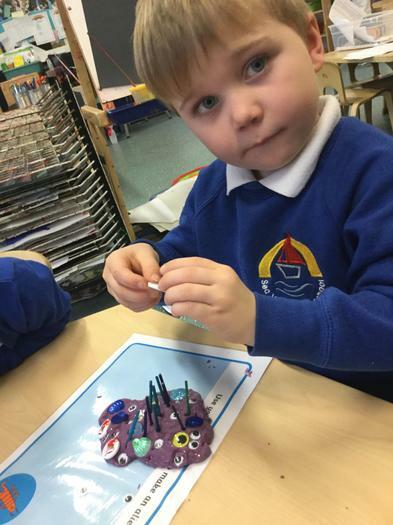 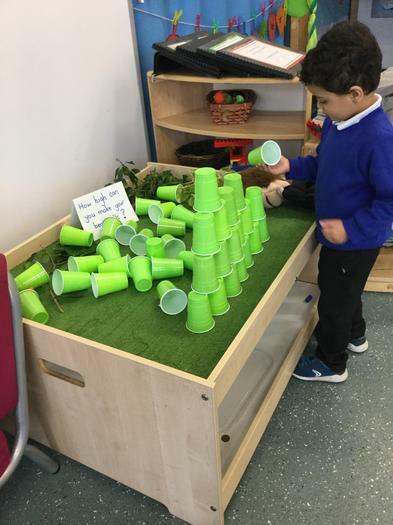 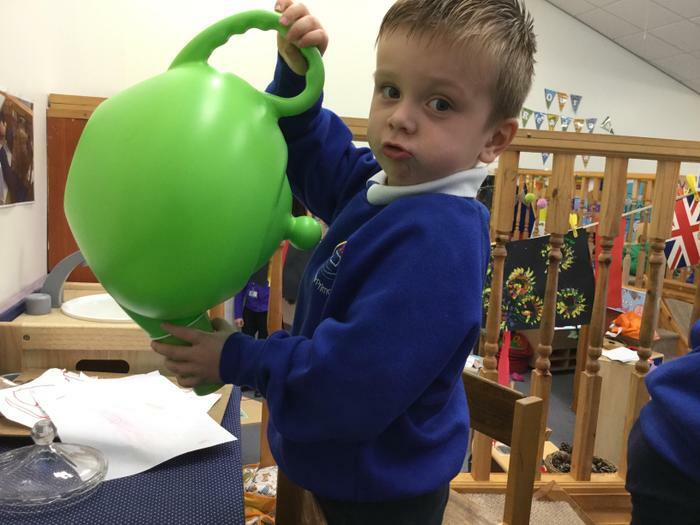 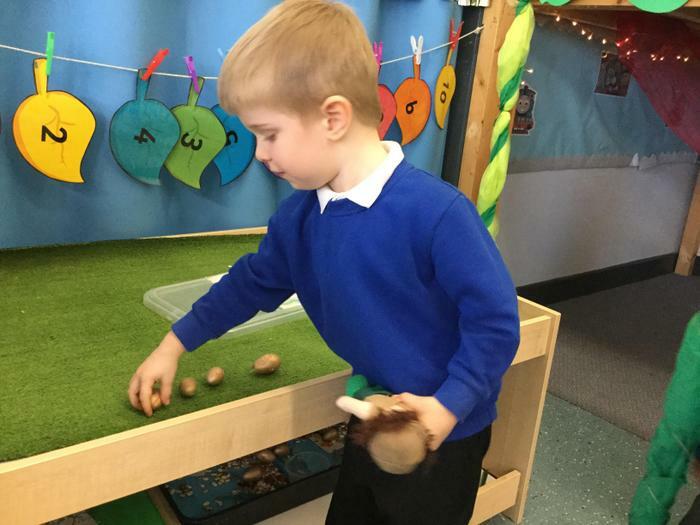 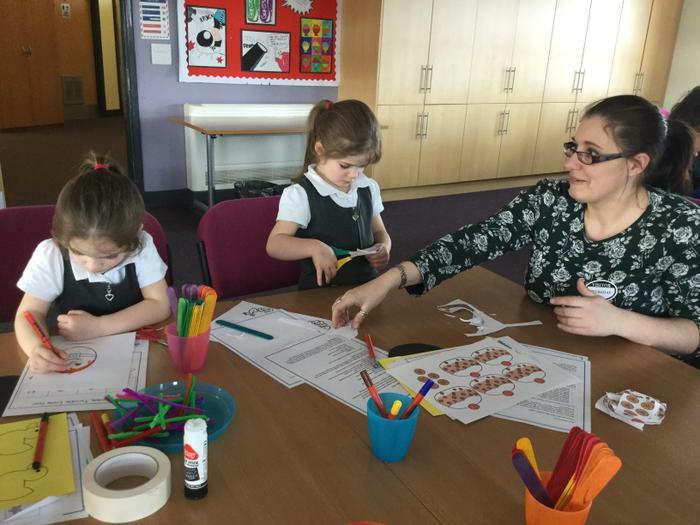 We have been doing lots of fun activities during our Jack and the Beanstalk topic... building beanstalks, counting magic beans, ordering numbers on a beanstalk, visiting the market with our gold coins, role play in the giant's castle and using puppets to retell the story. 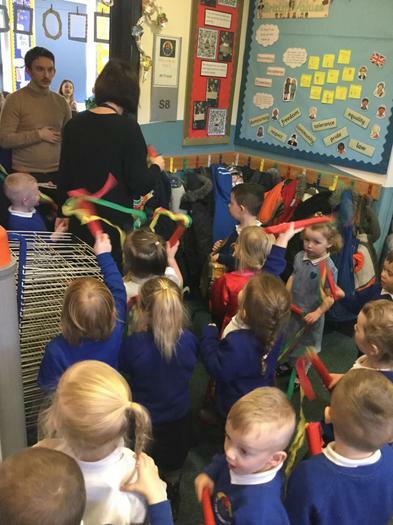 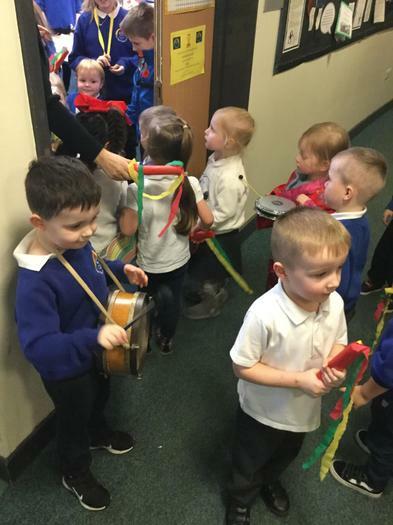 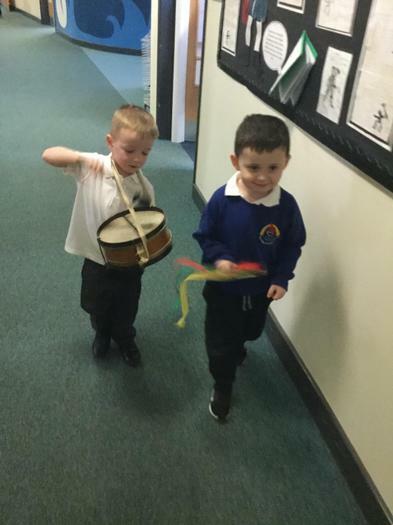 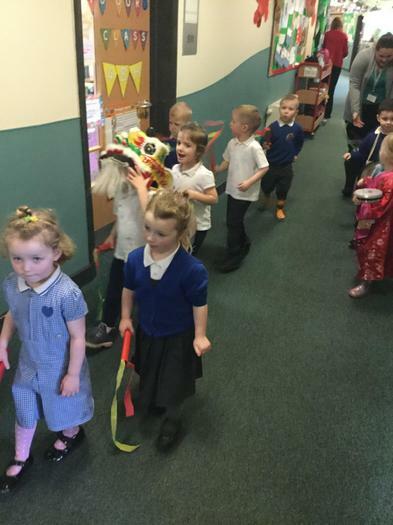 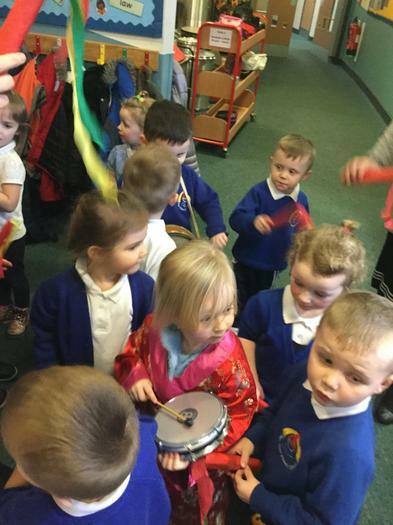 We have been enjoying celebrating our New Year and Chinese New Year - we took our parade through the whole school! 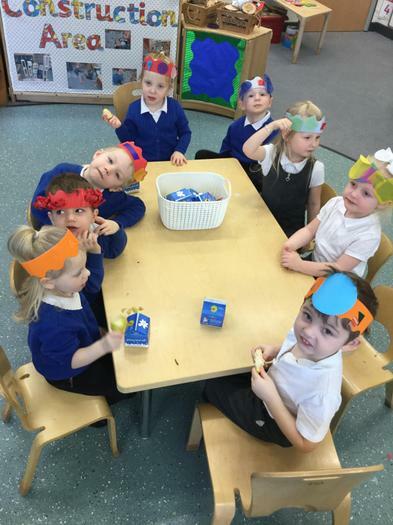 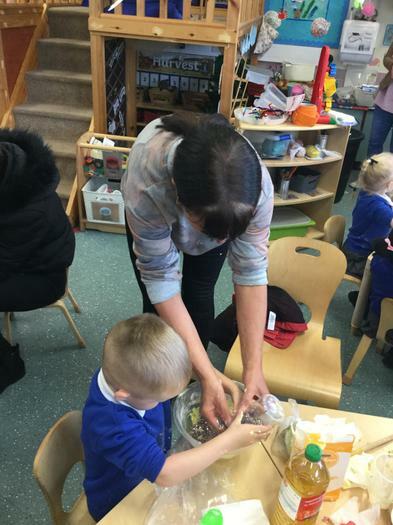 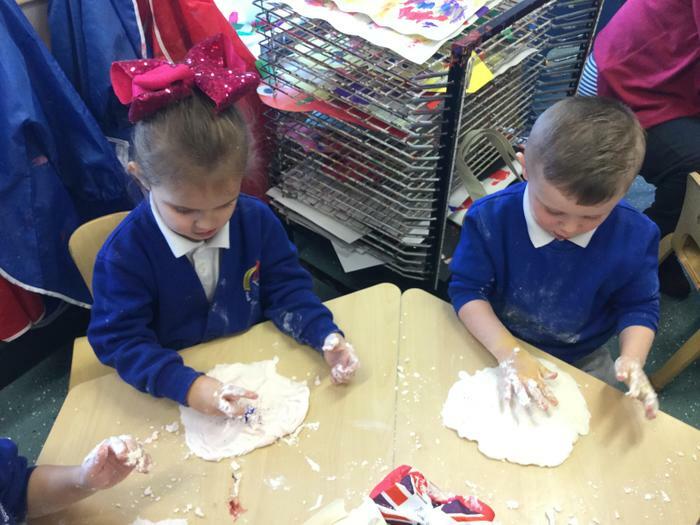 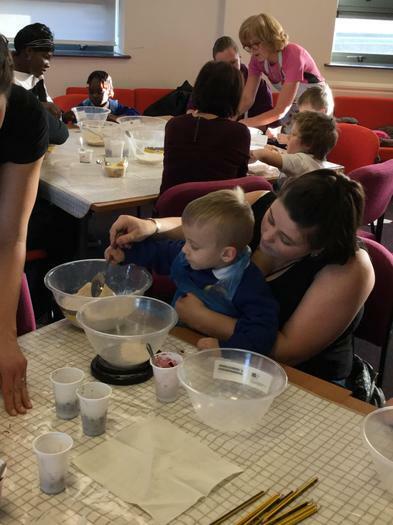 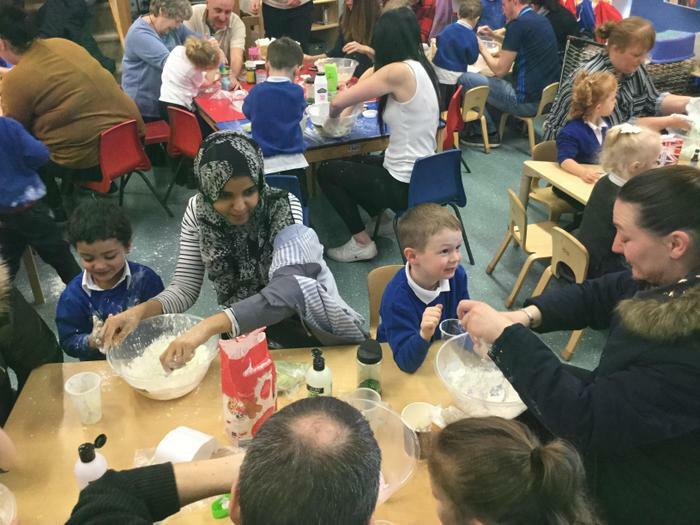 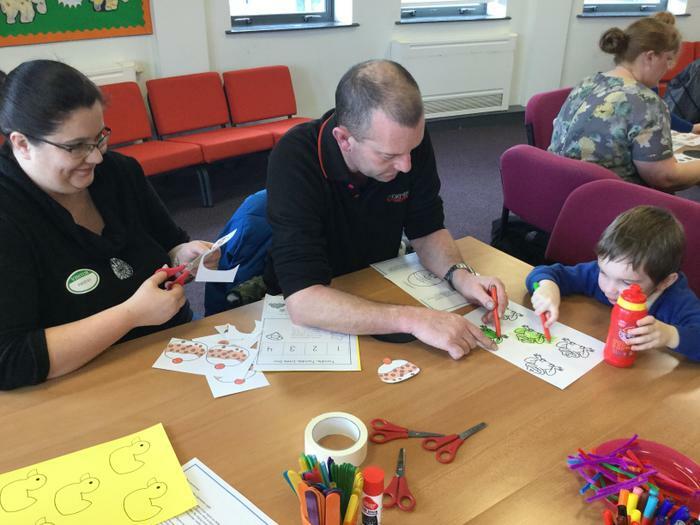 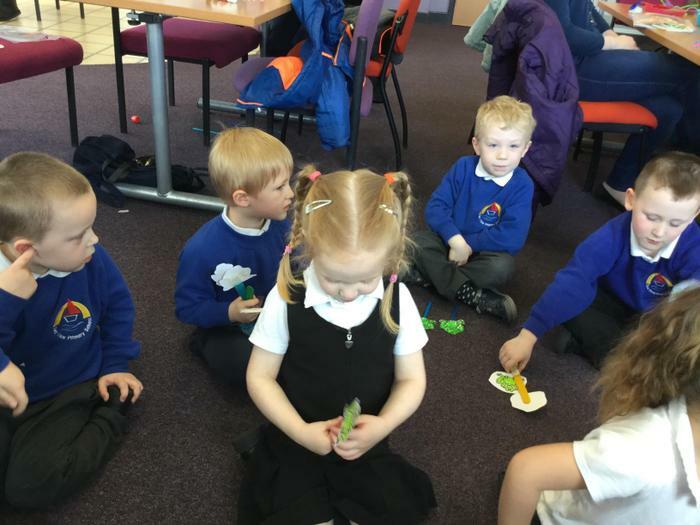 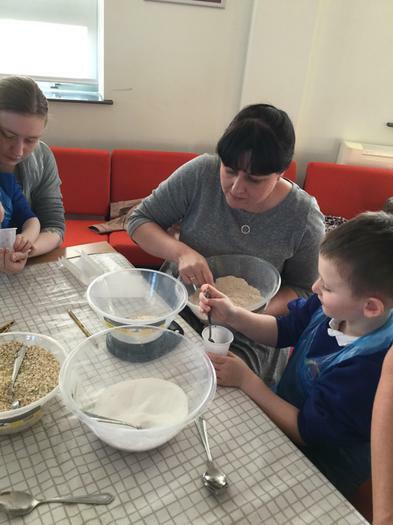 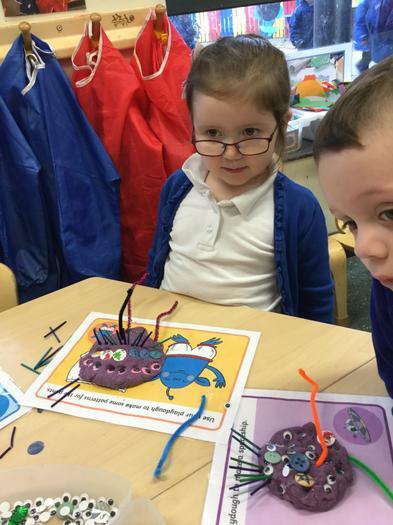 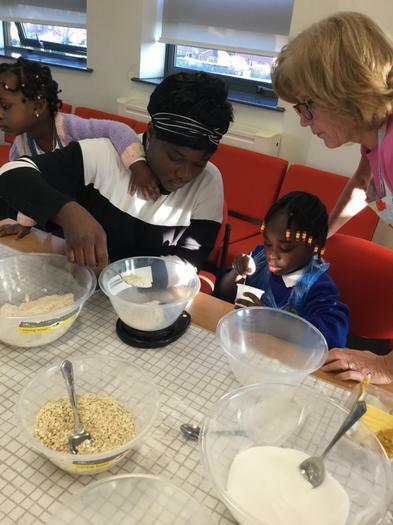 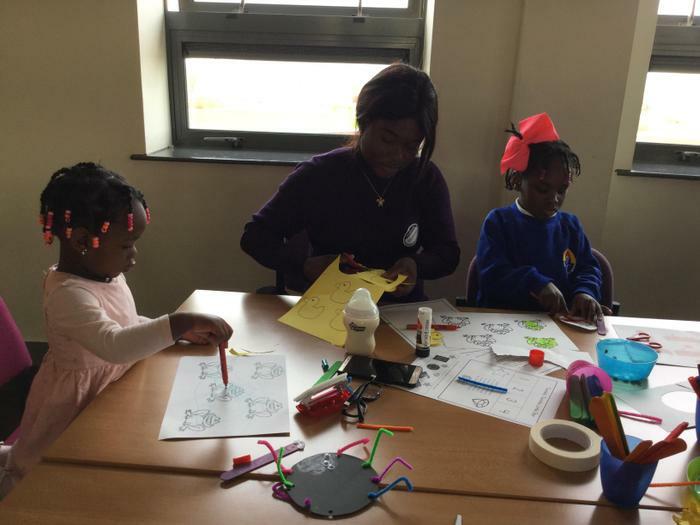 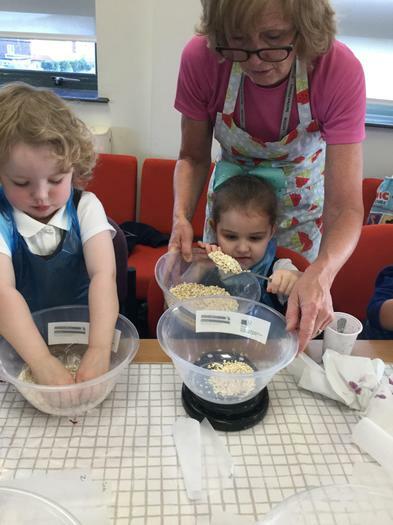 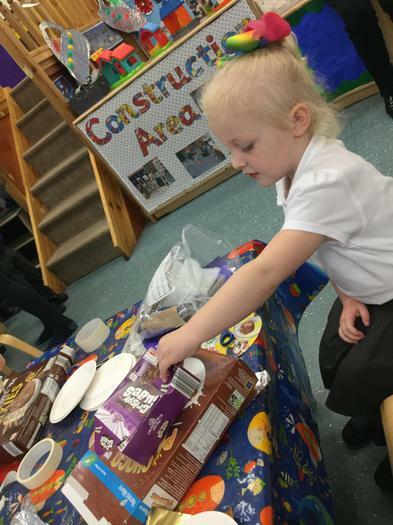 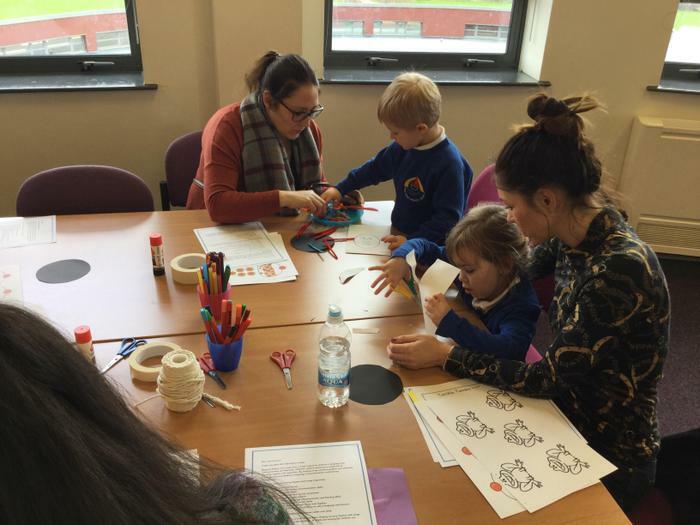 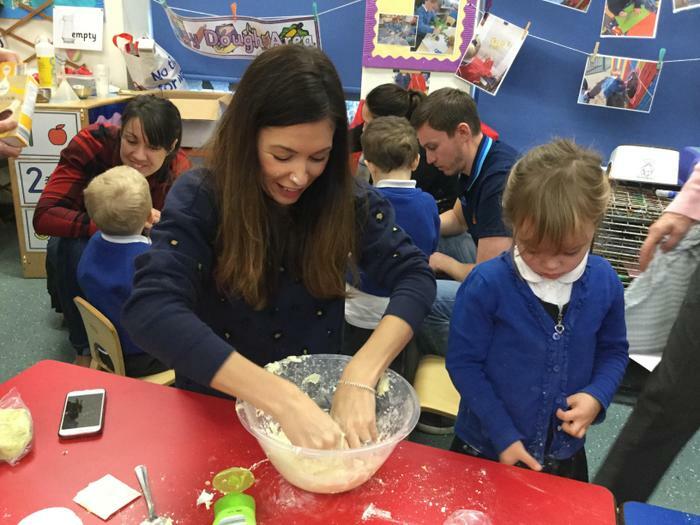 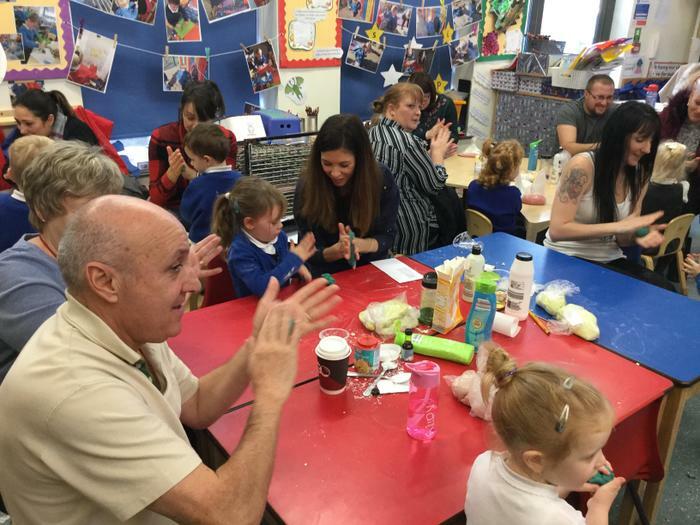 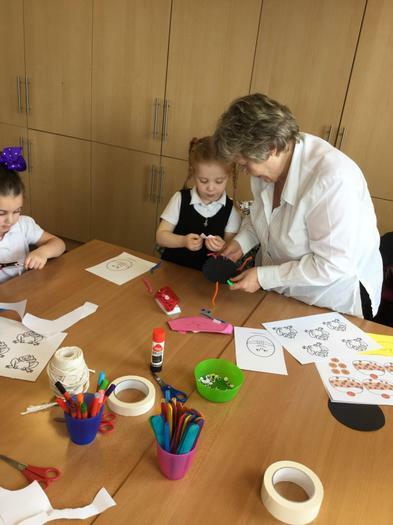 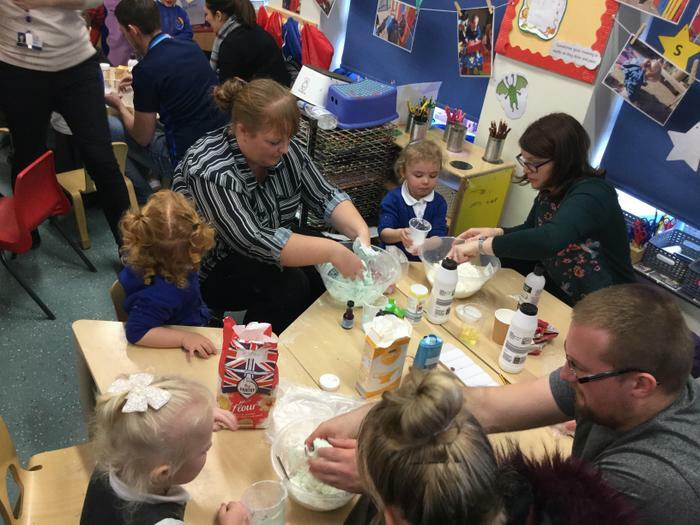 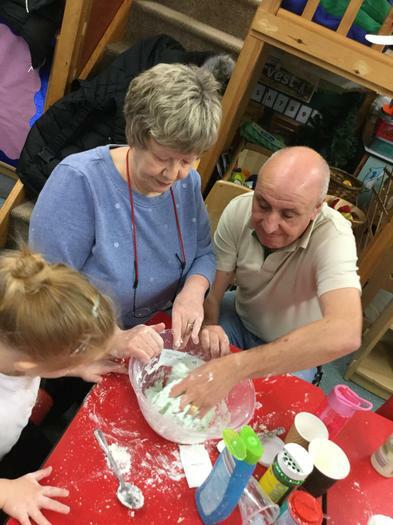 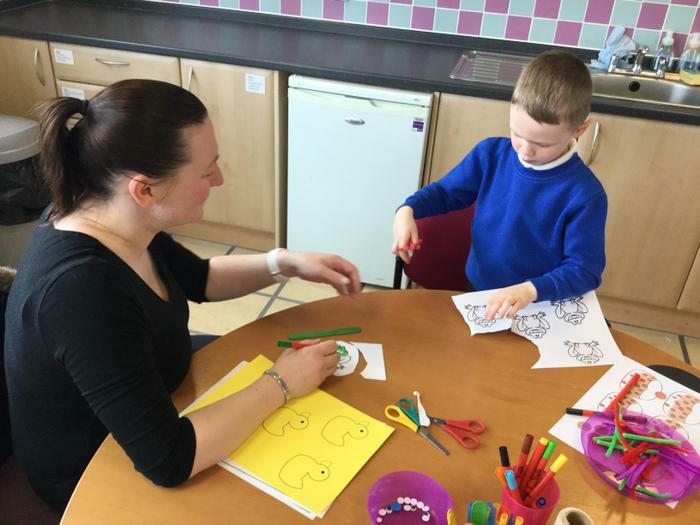 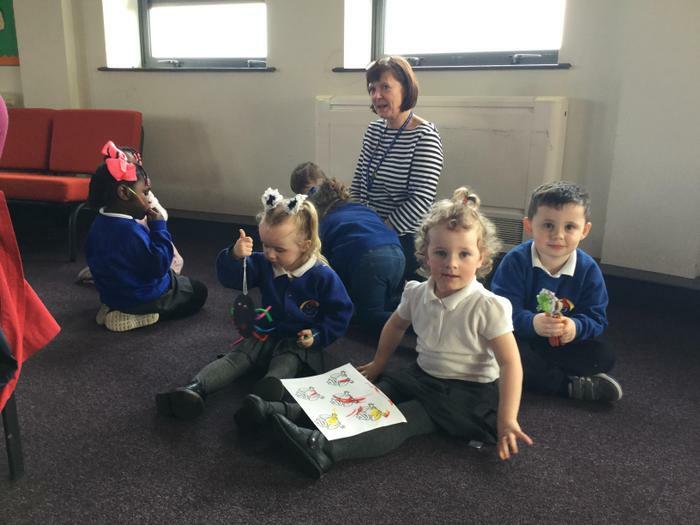 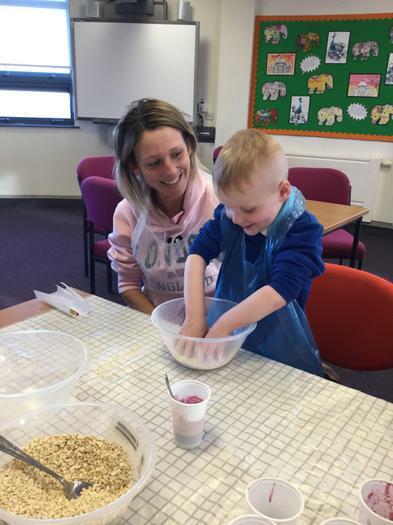 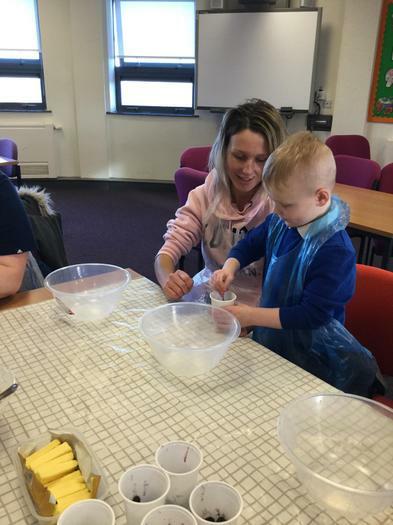 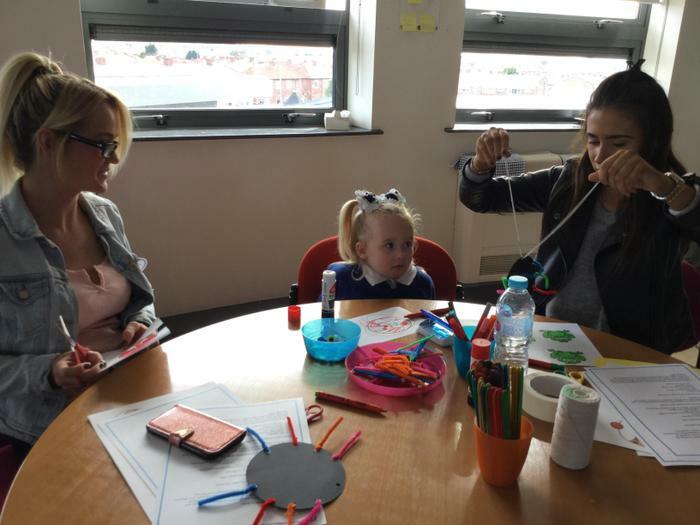 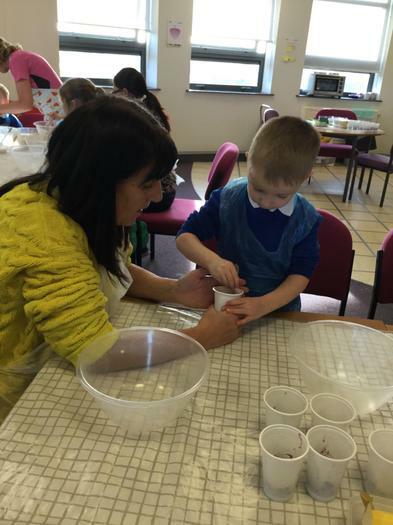 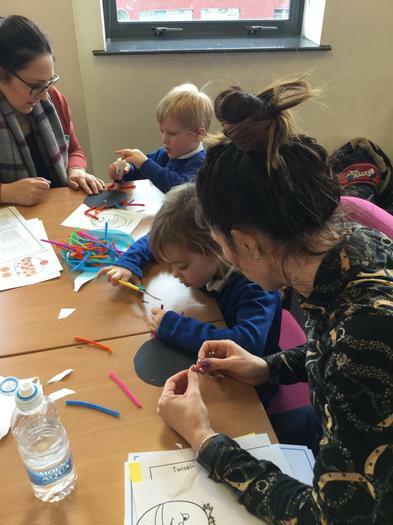 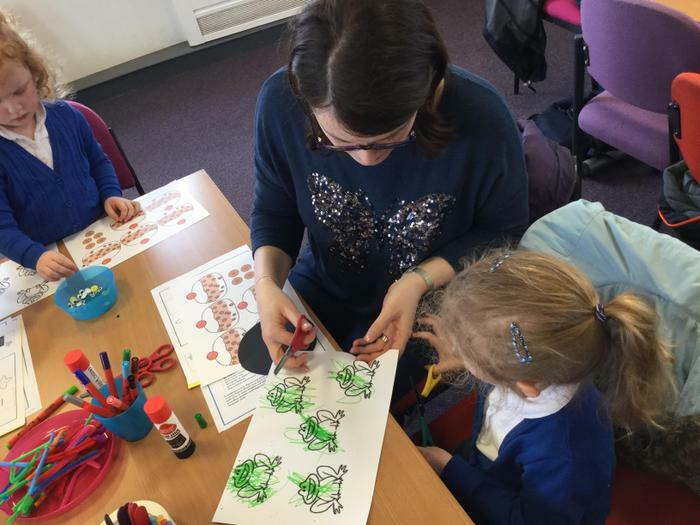 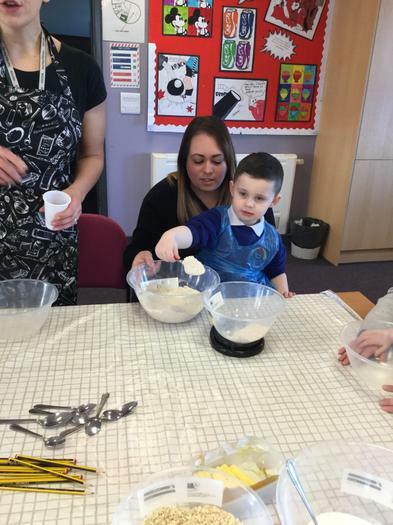 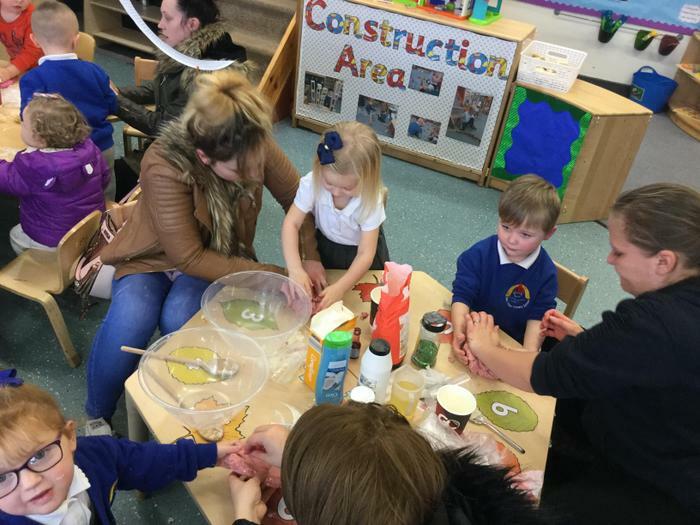 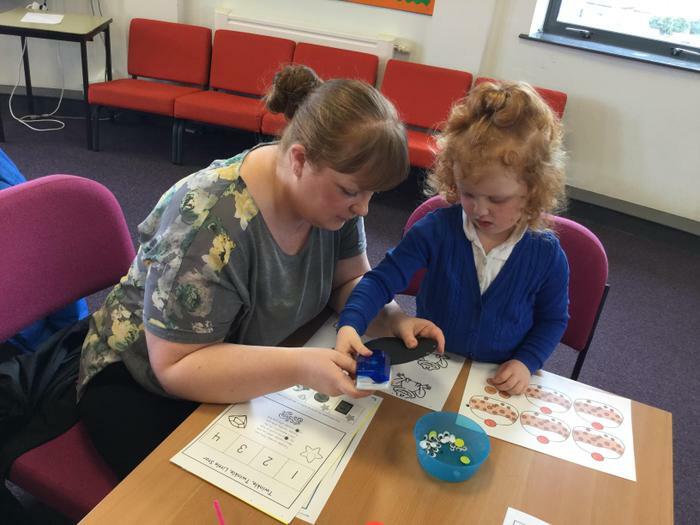 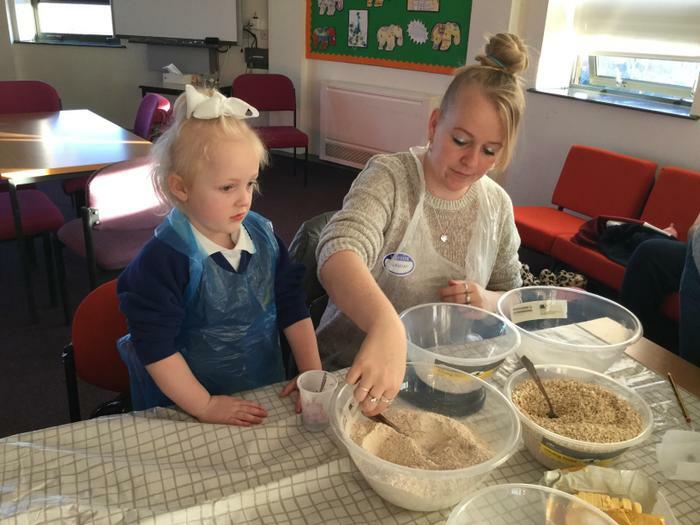 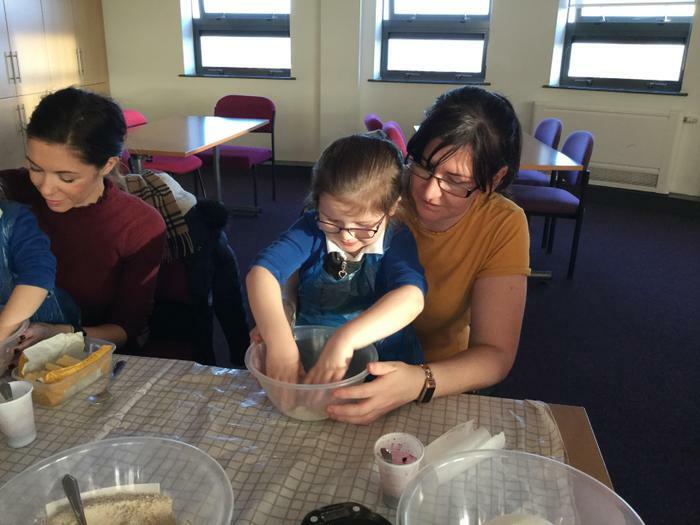 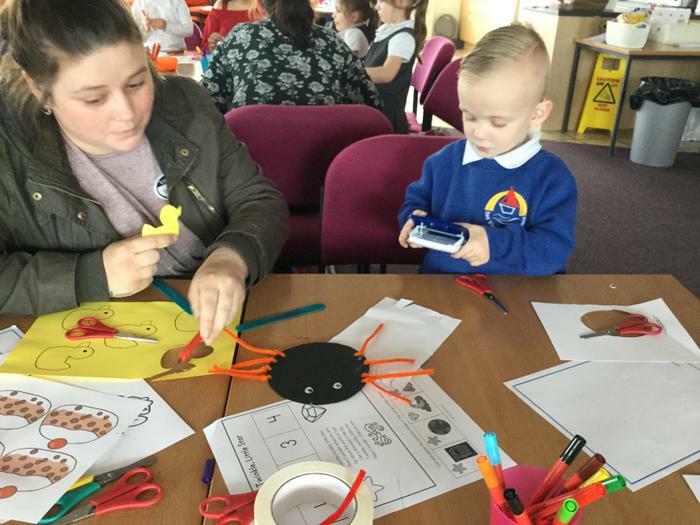 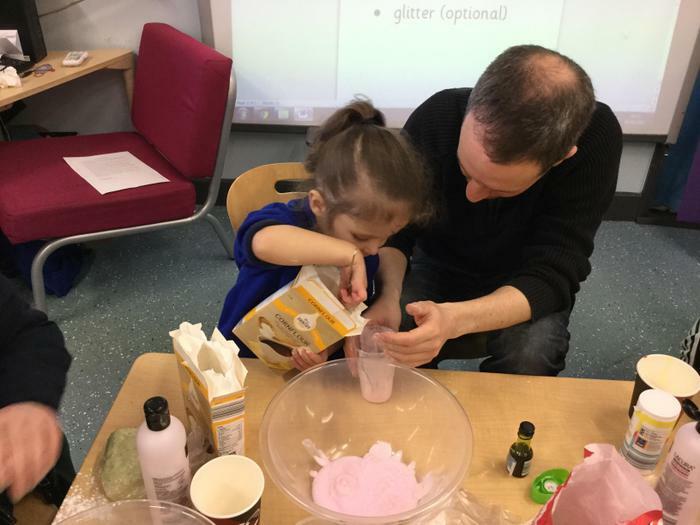 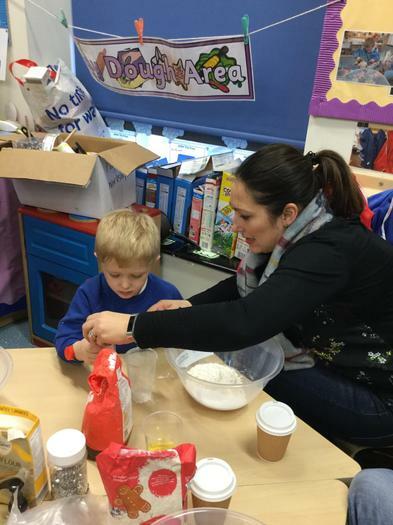 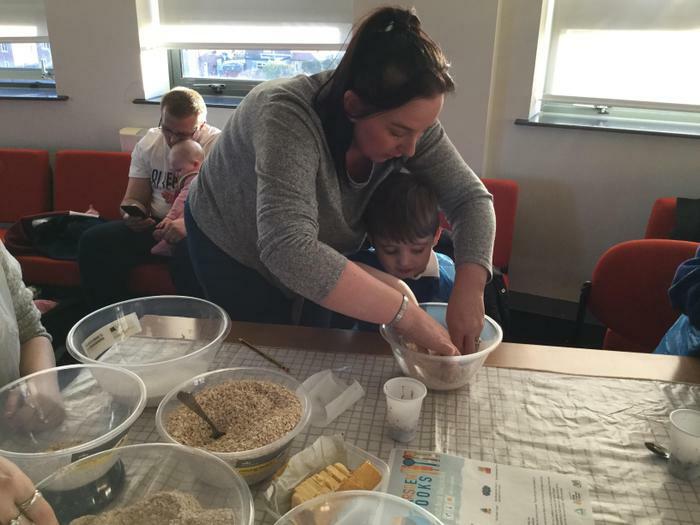 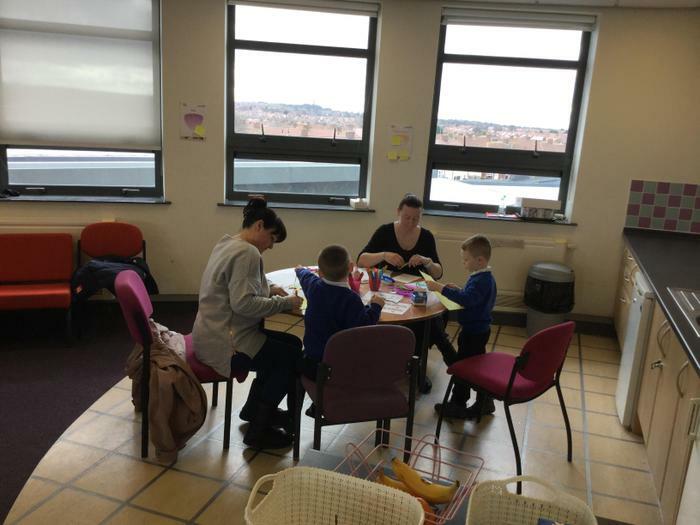 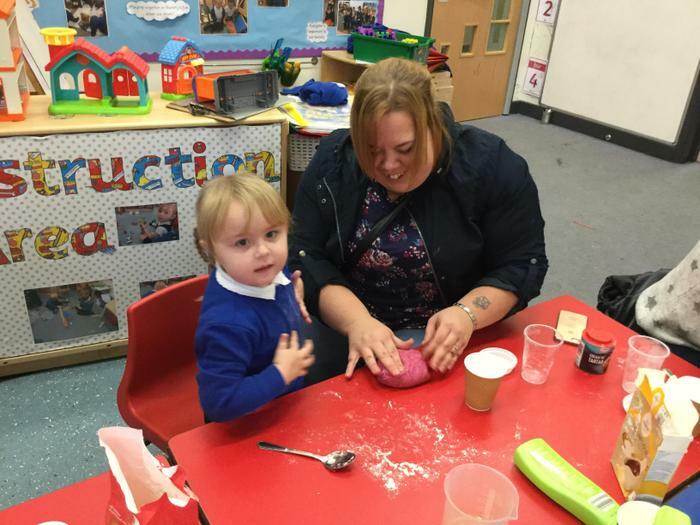 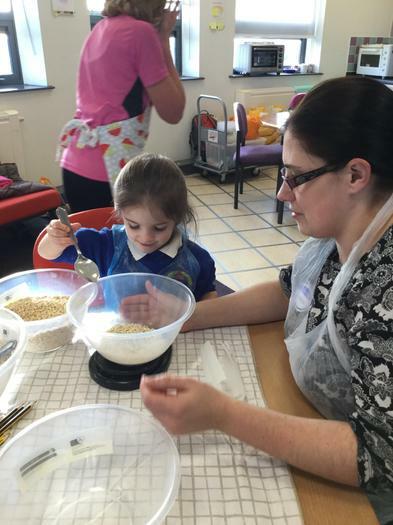 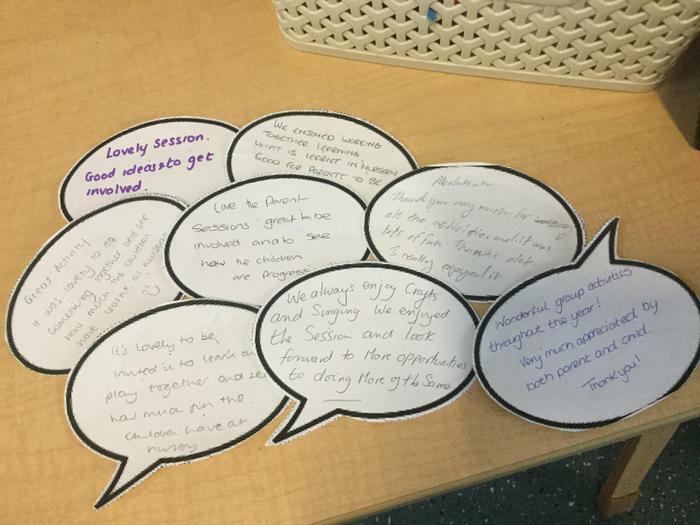 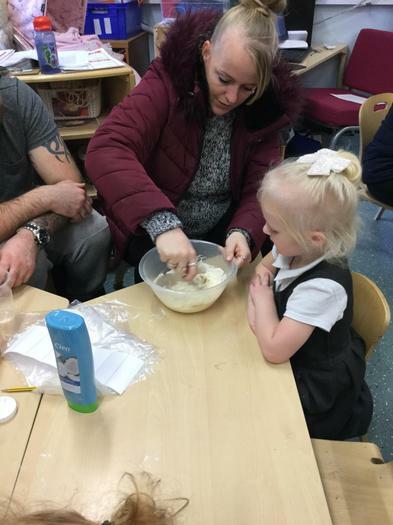 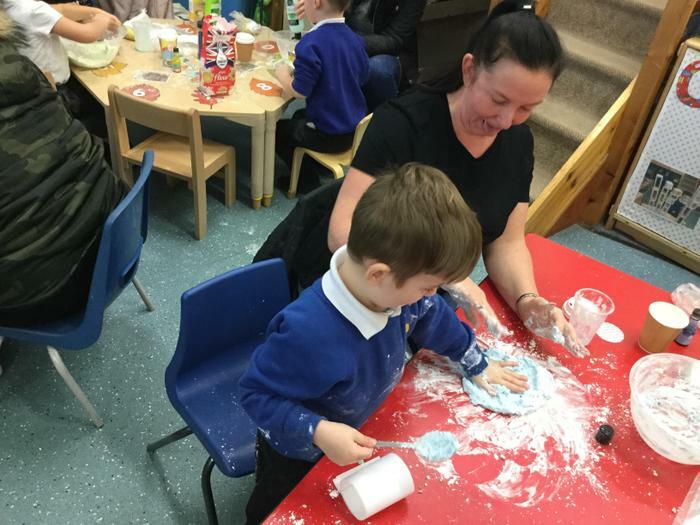 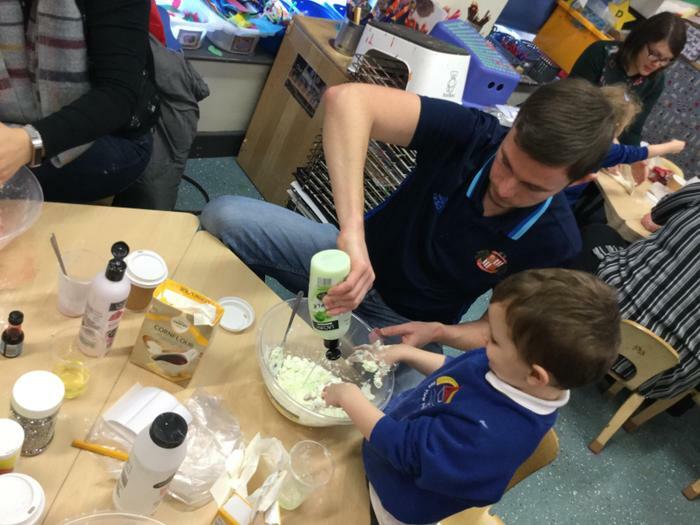 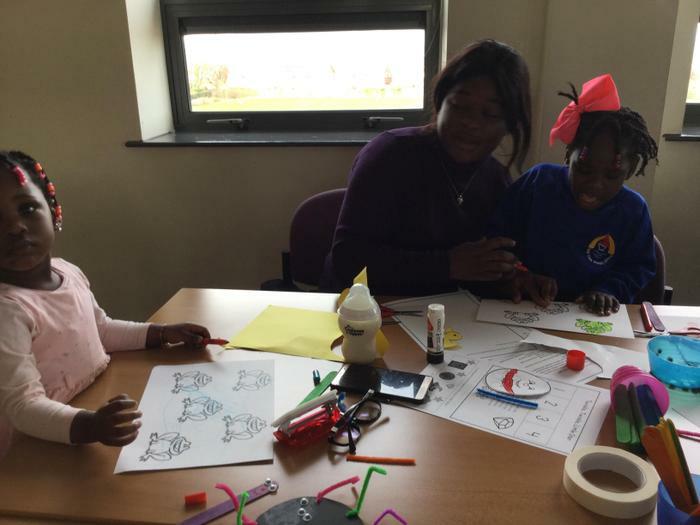 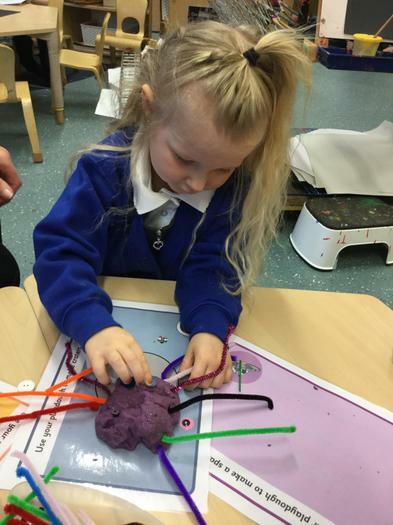 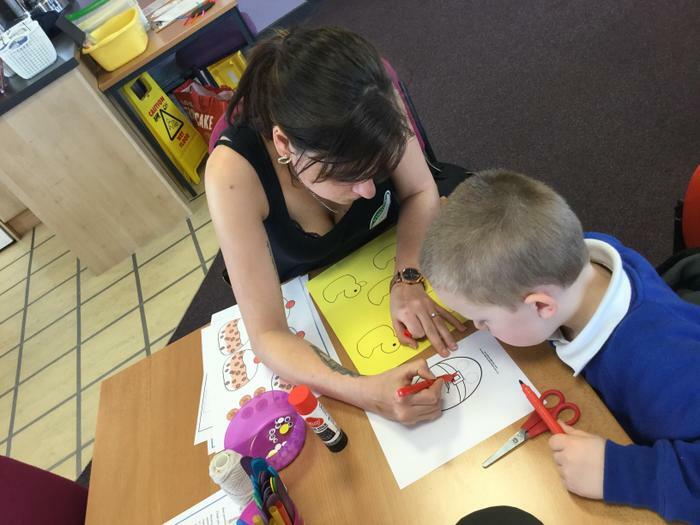 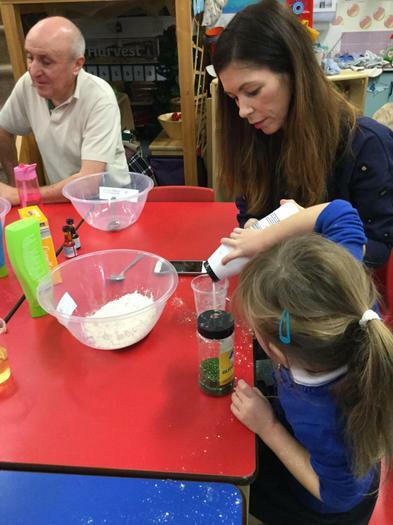 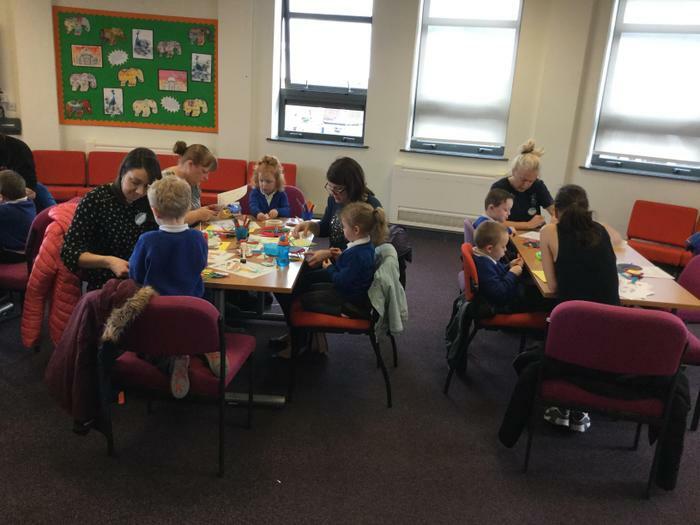 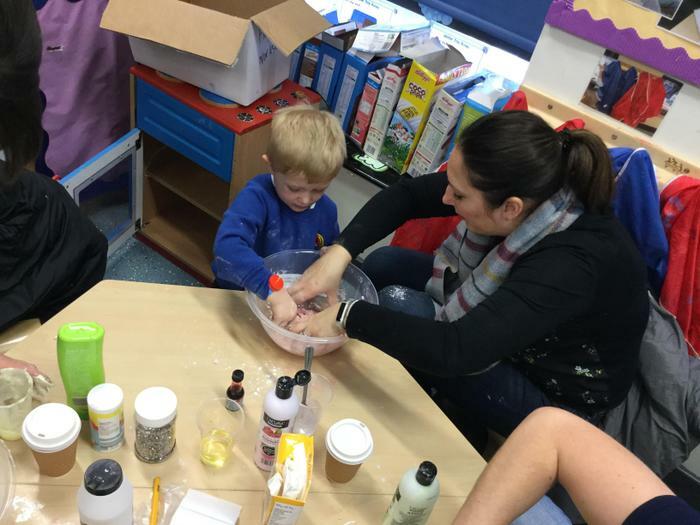 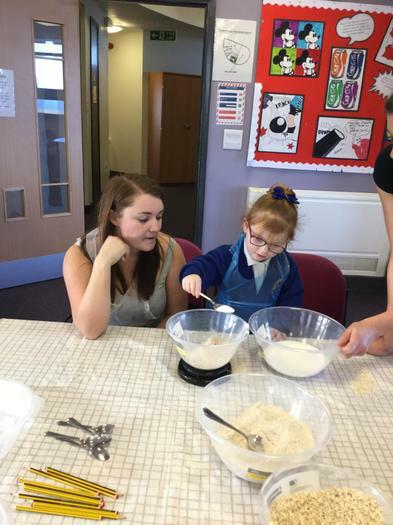 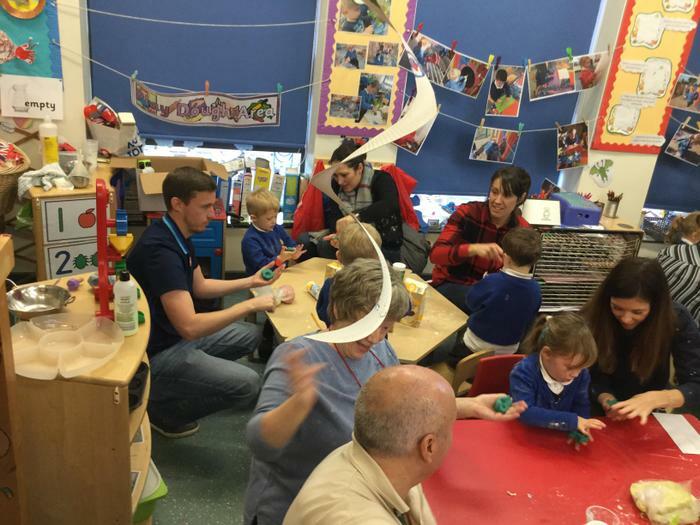 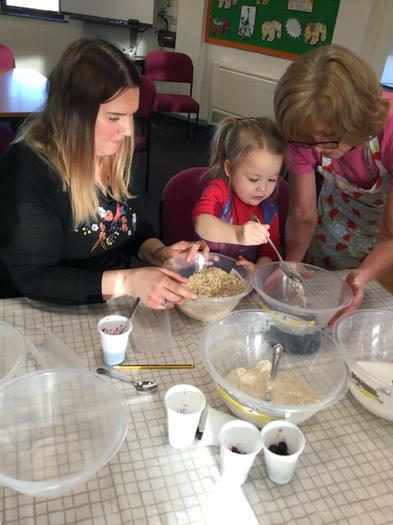 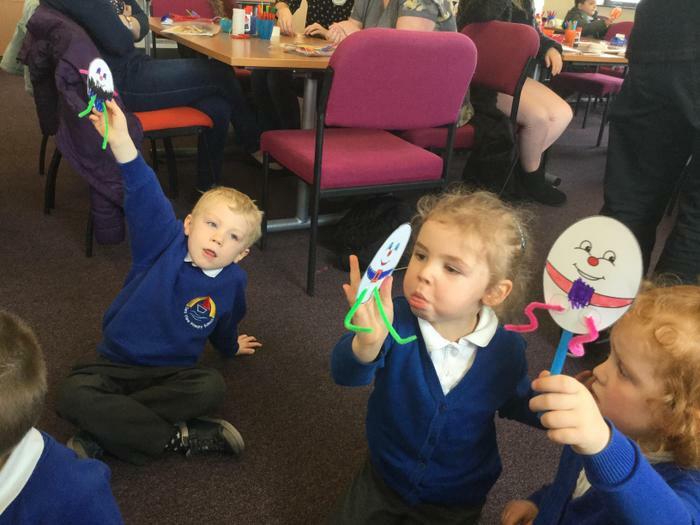 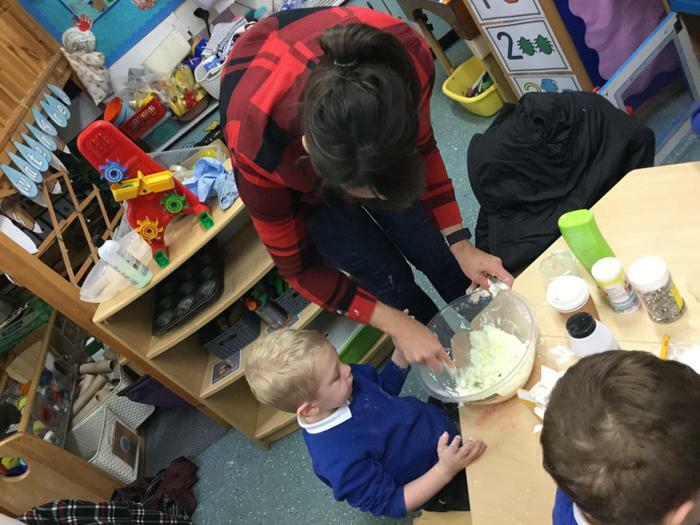 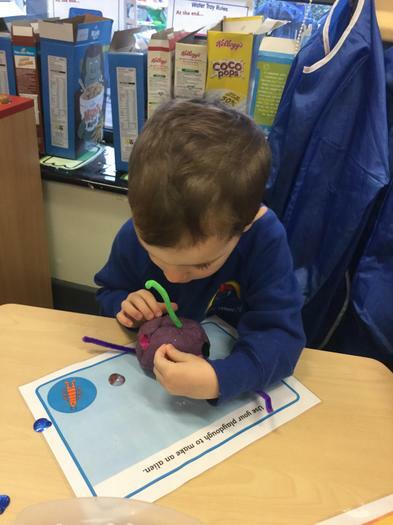 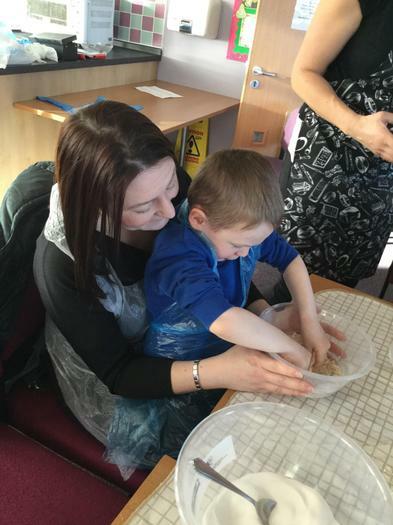 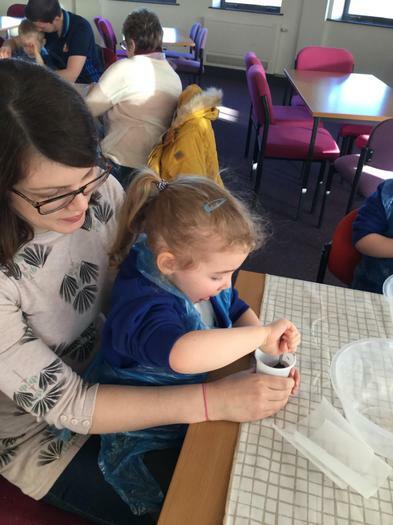 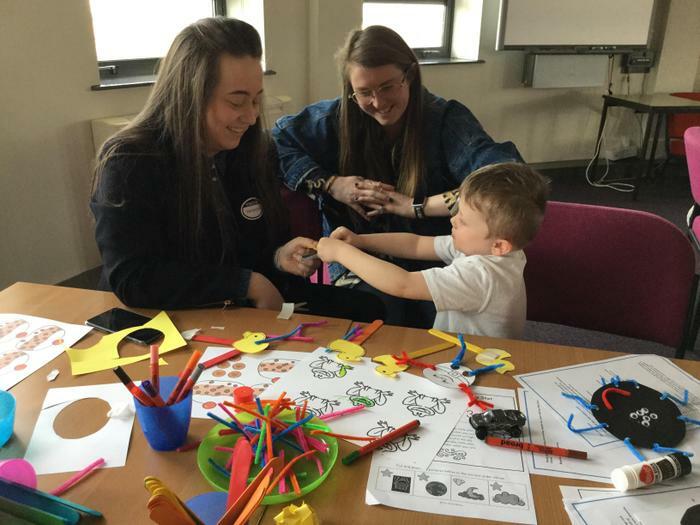 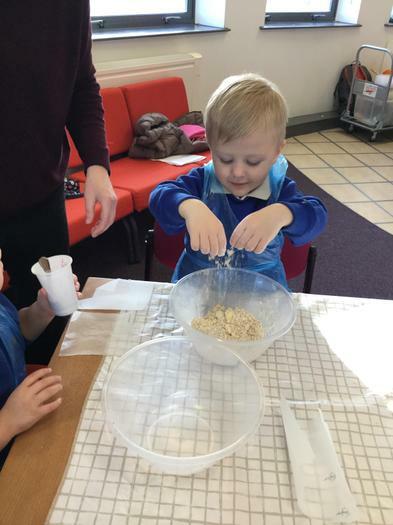 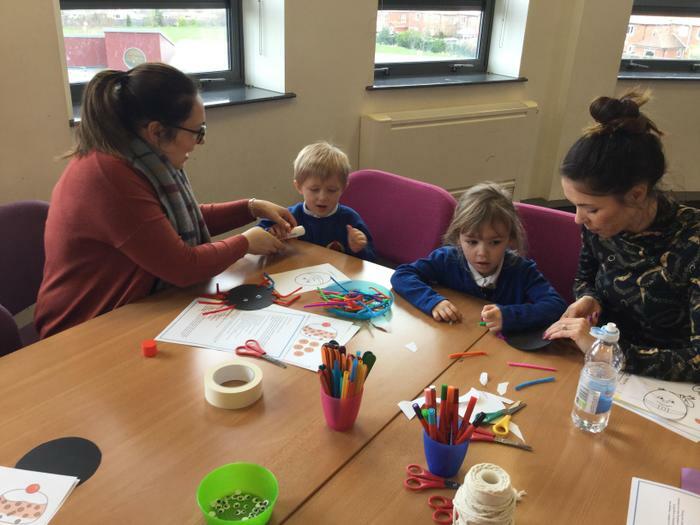 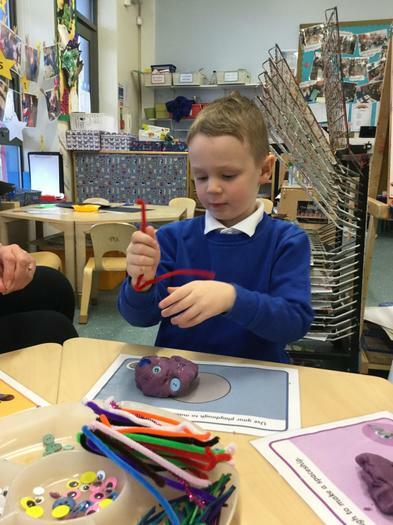 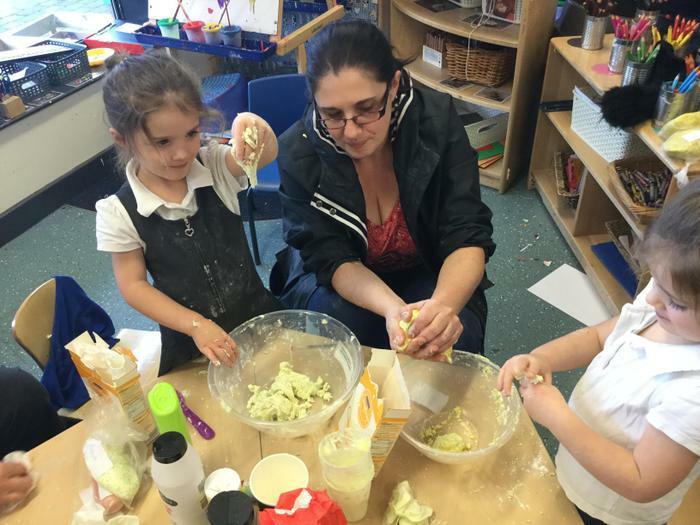 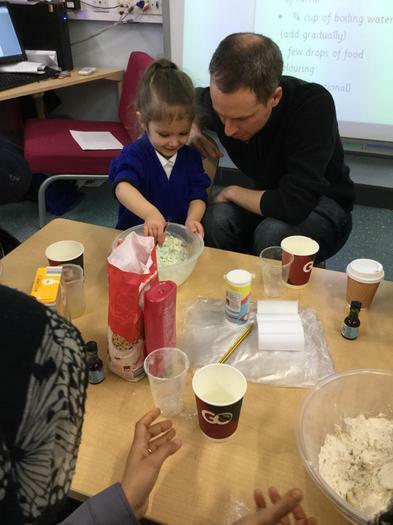 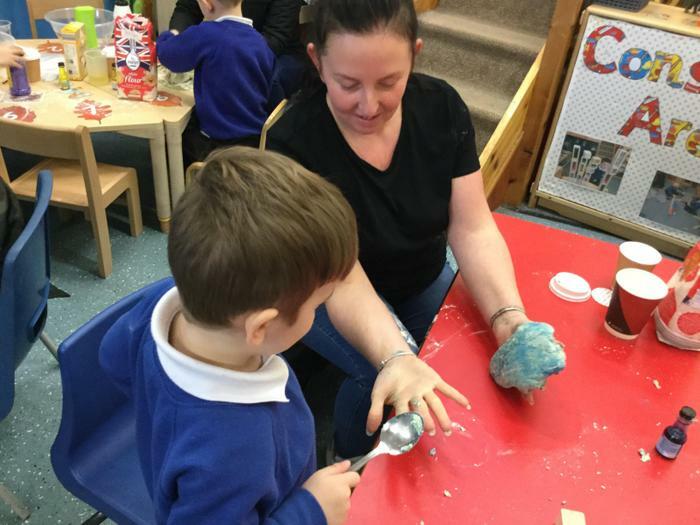 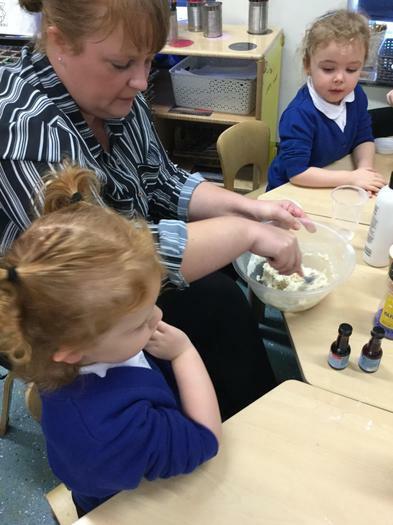 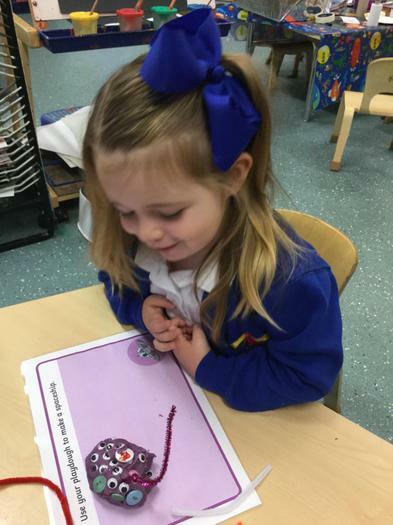 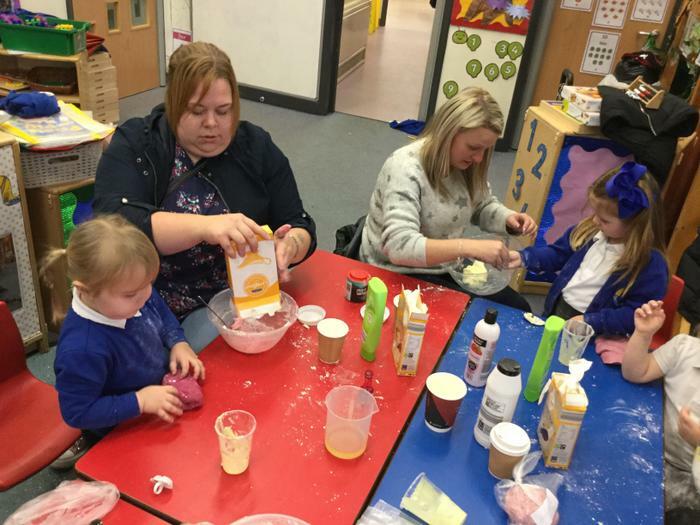 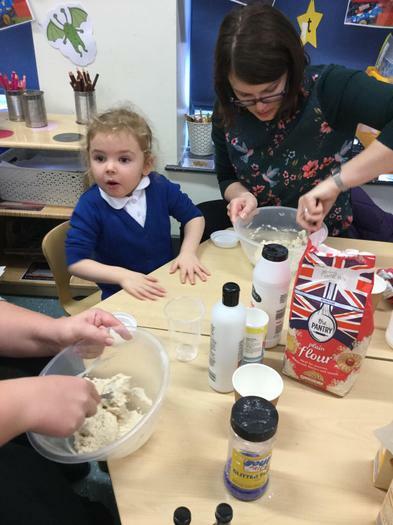 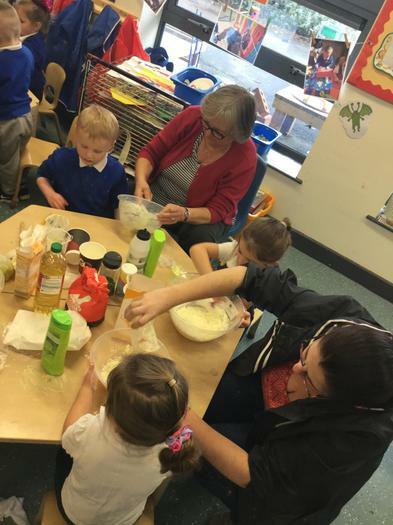 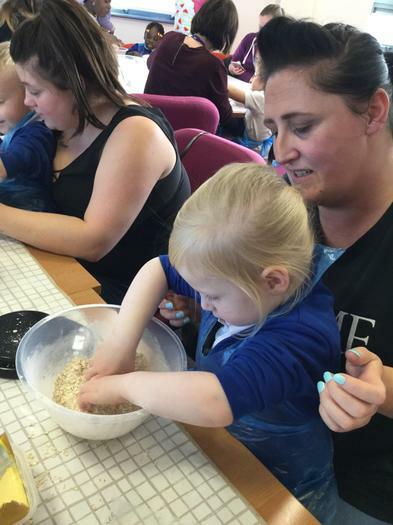 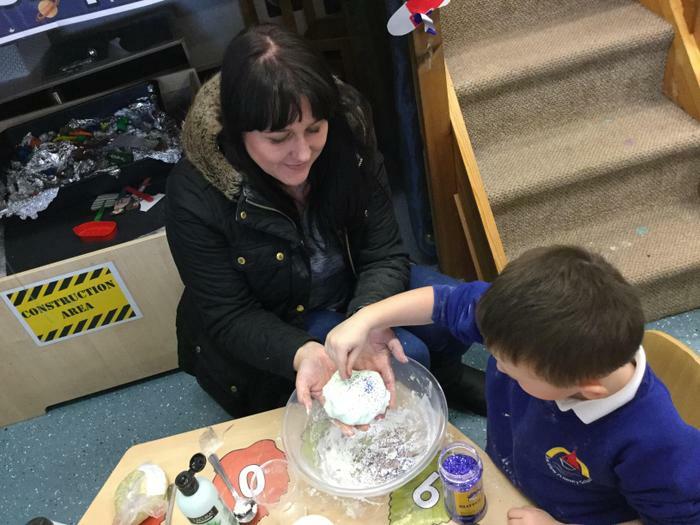 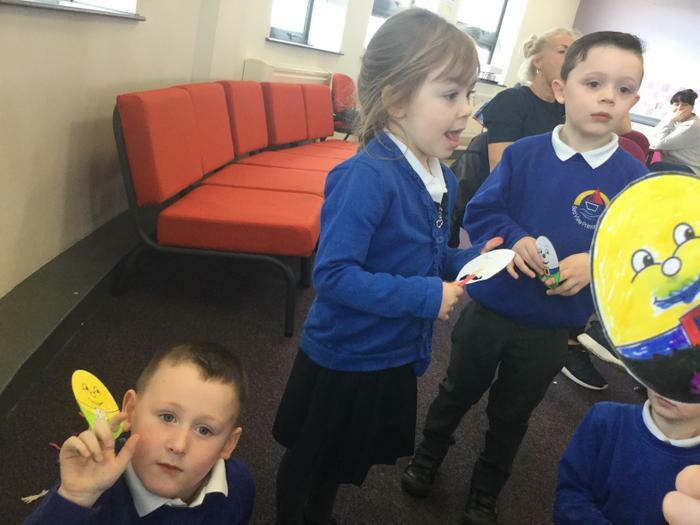 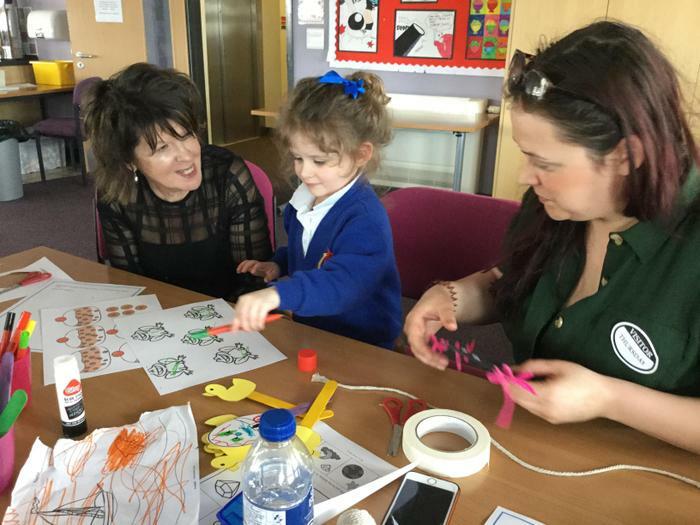 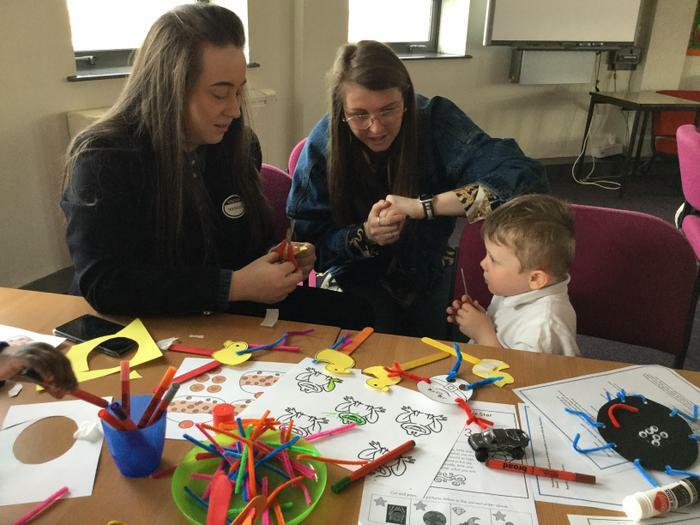 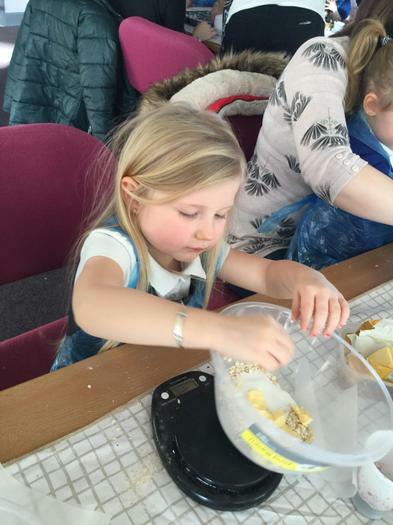 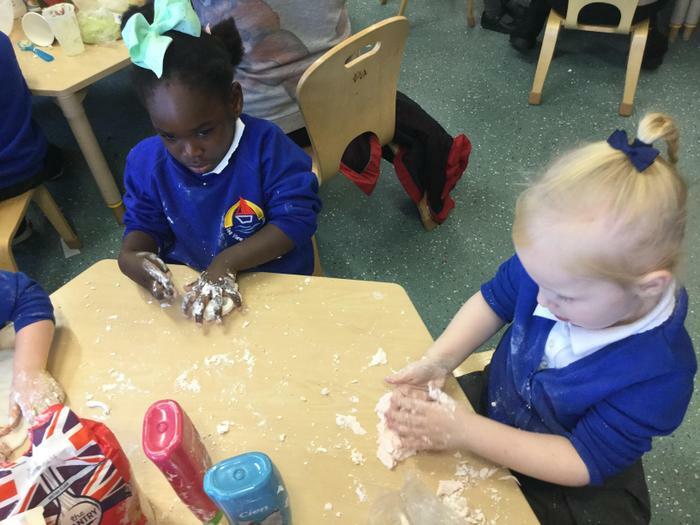 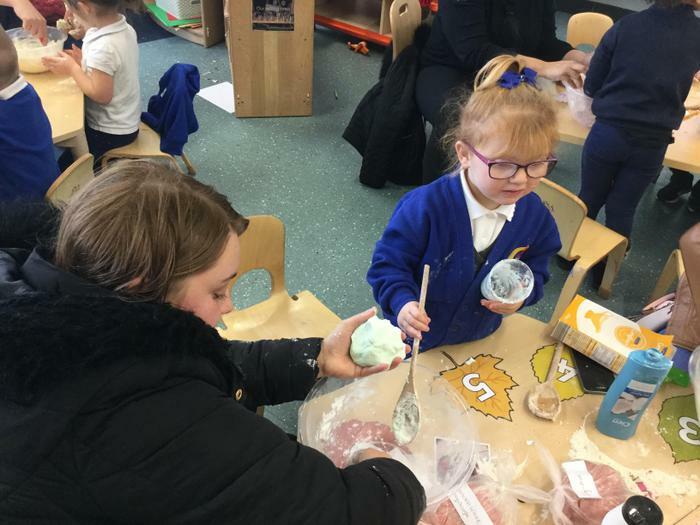 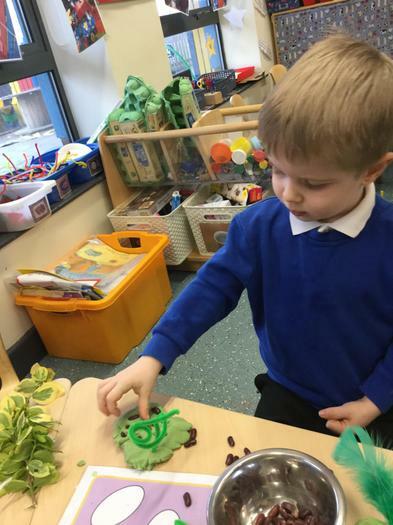 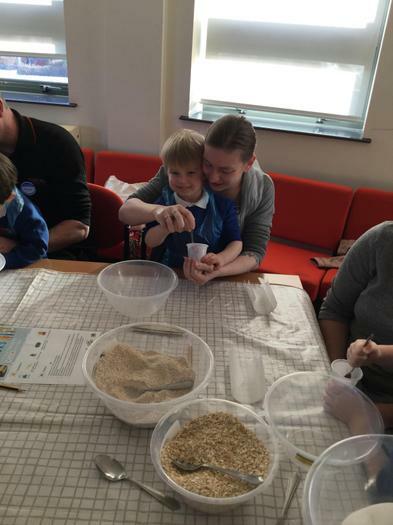 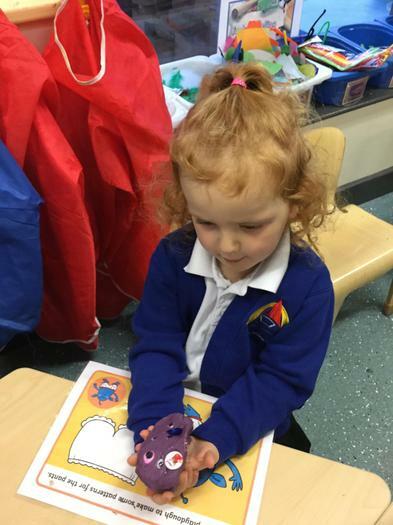 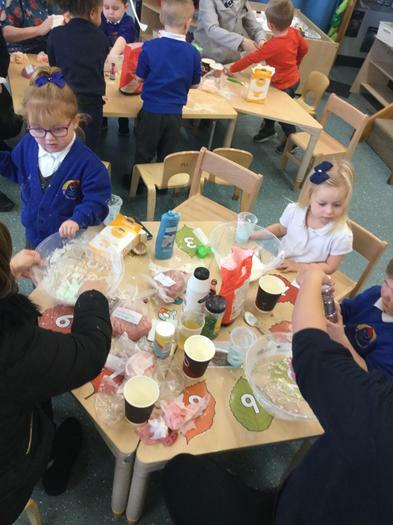 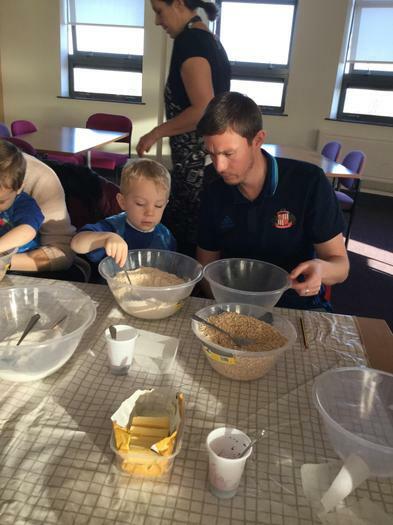 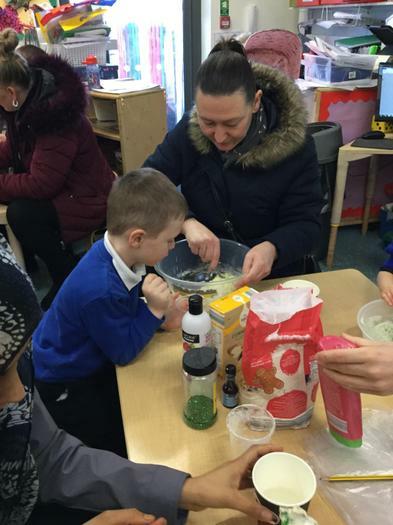 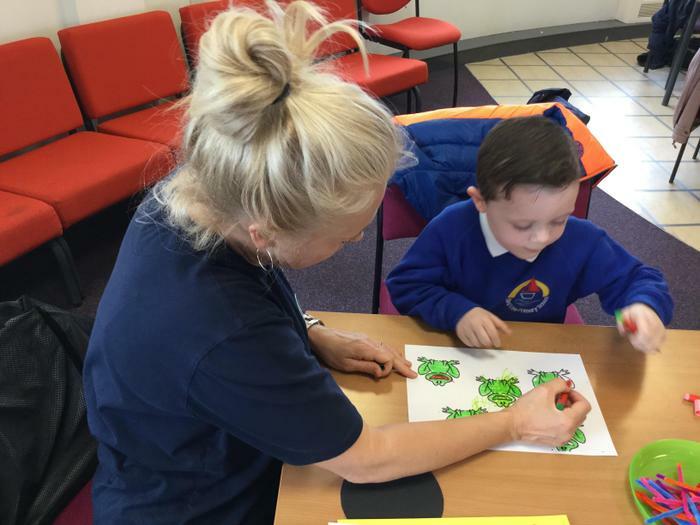 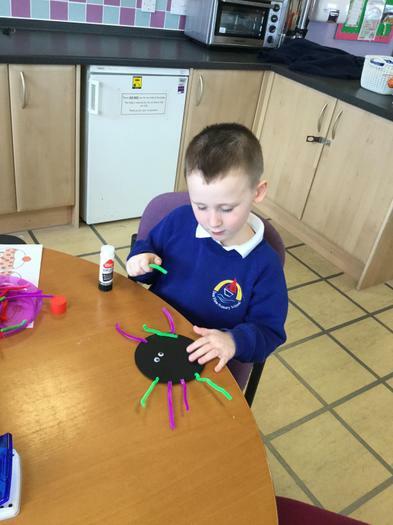 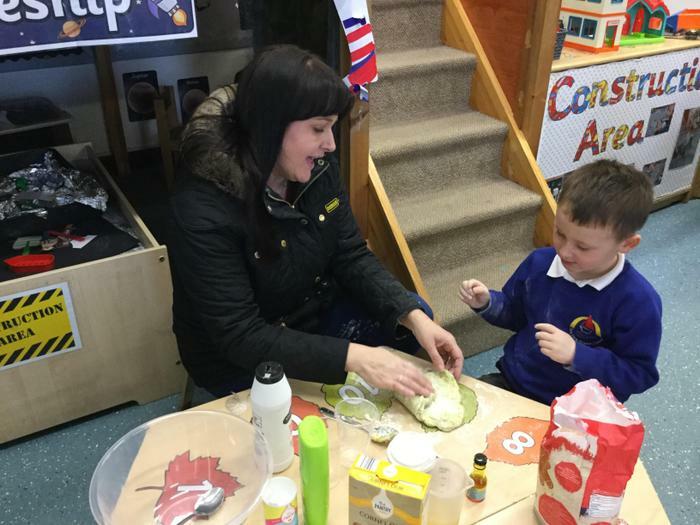 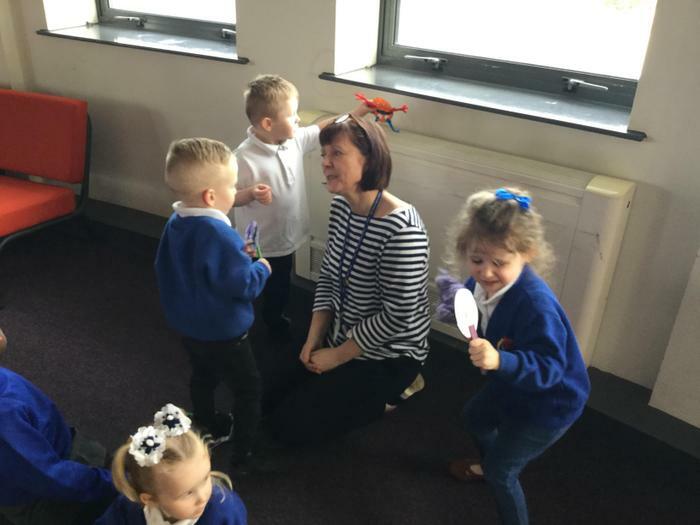 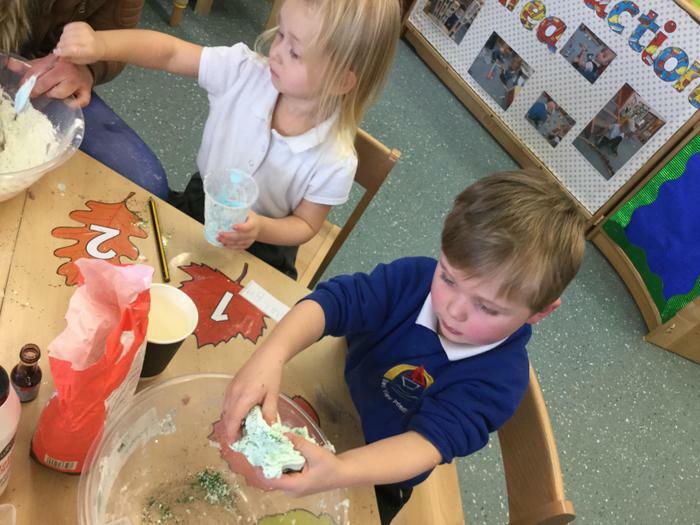 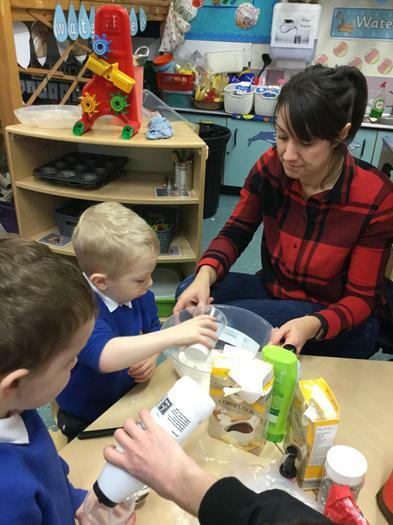 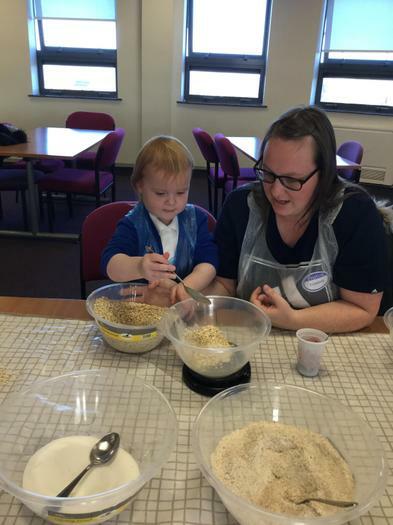 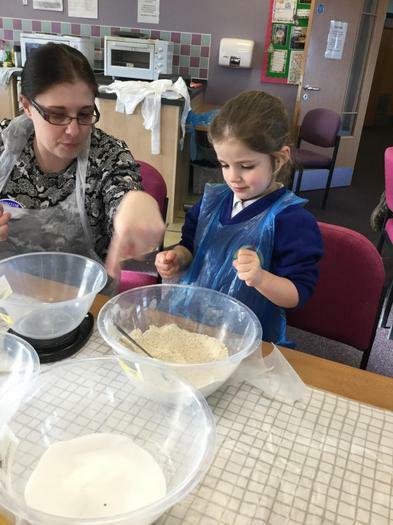 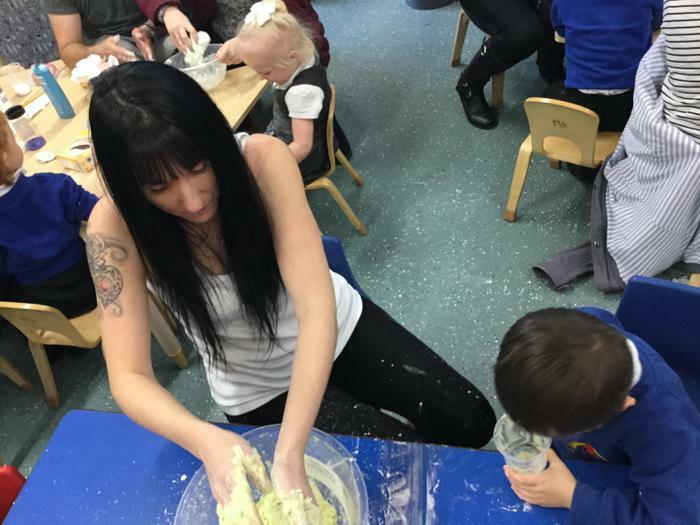 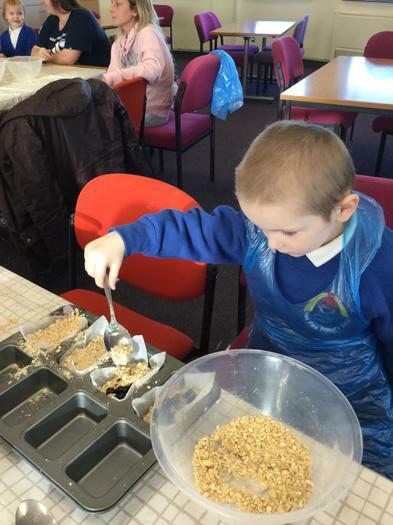 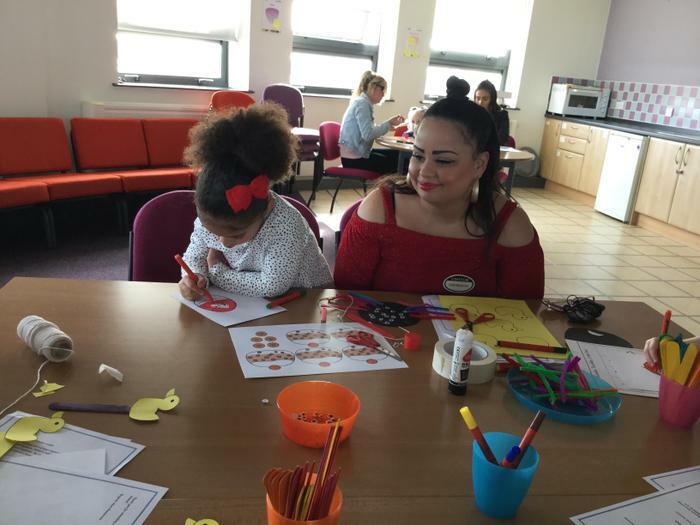 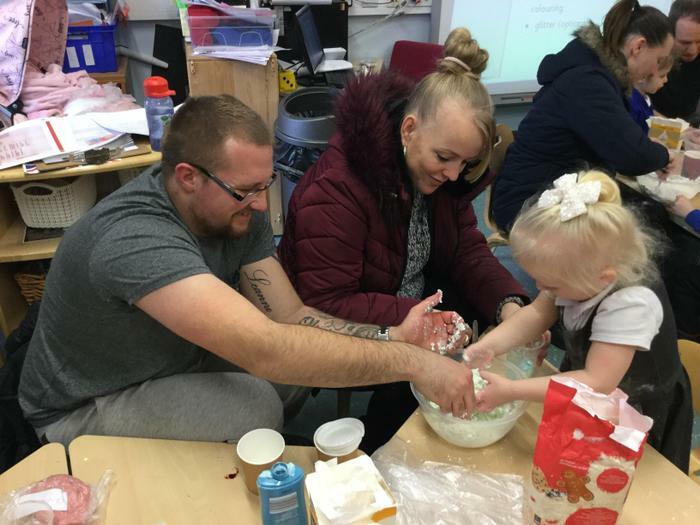 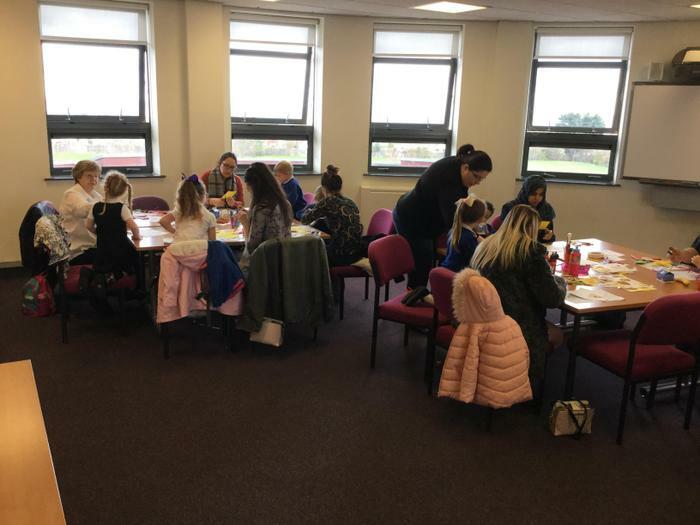 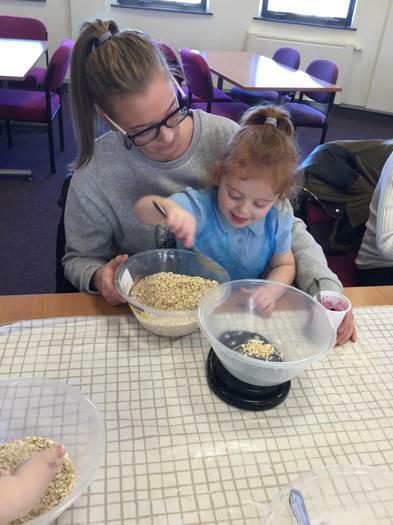 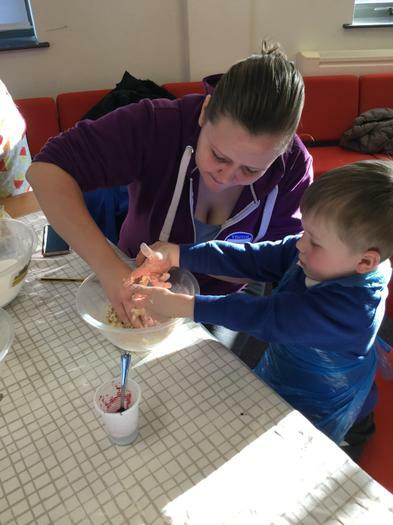 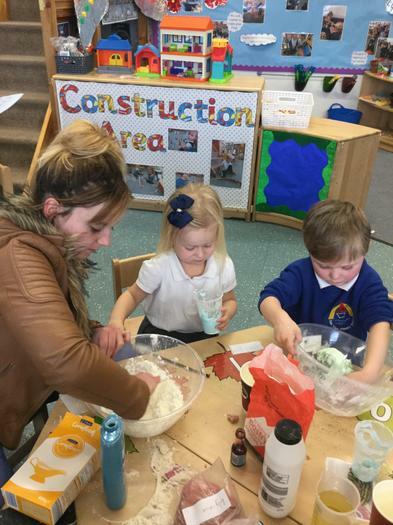 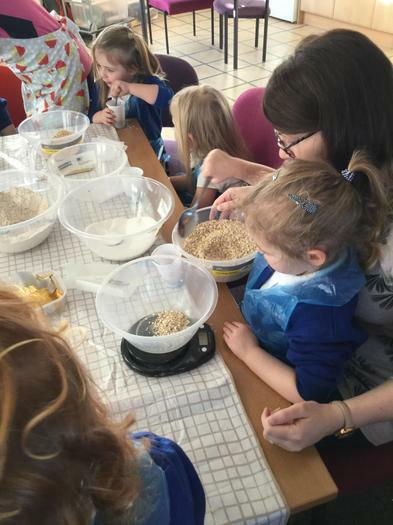 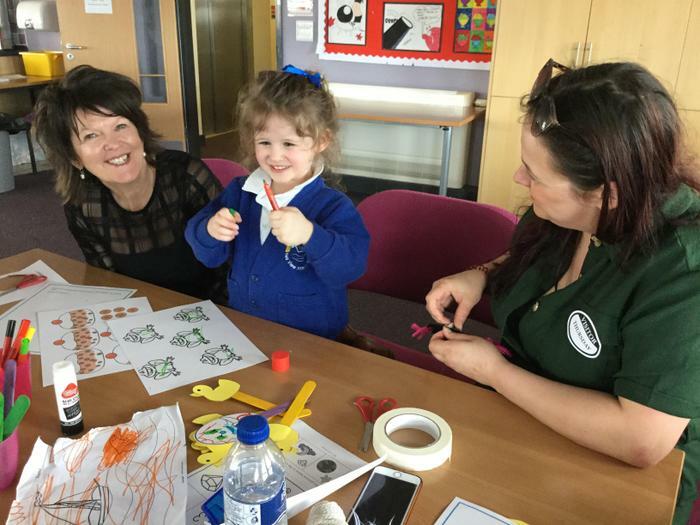 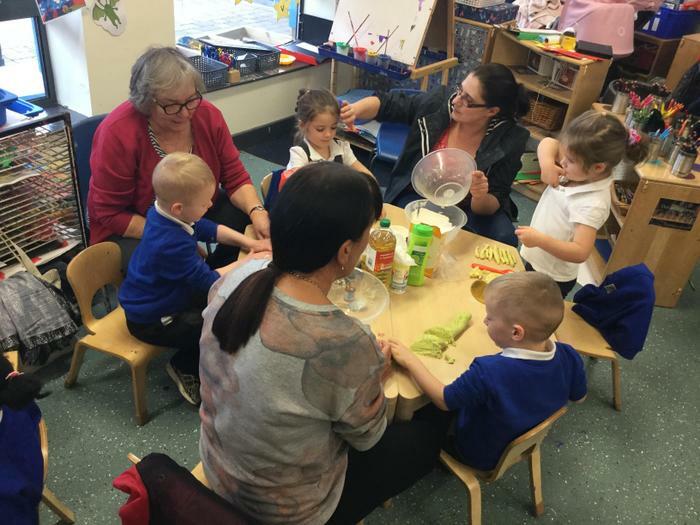 We had great fun making healthy blueberry flapjacks with our grown ups! 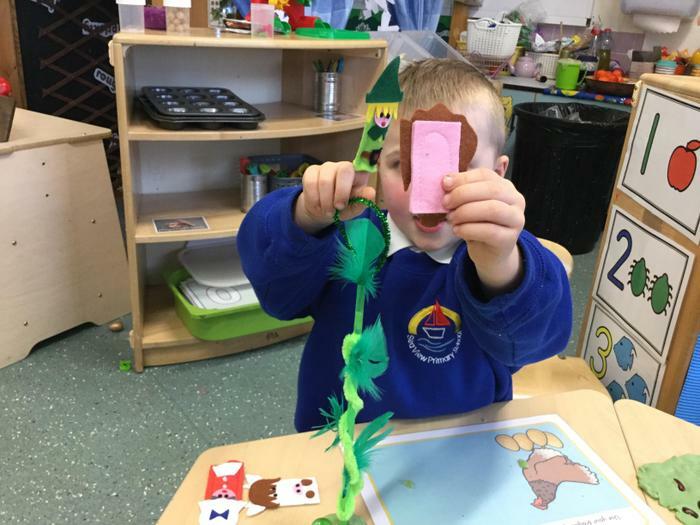 Big Foot productions came to Sea View. 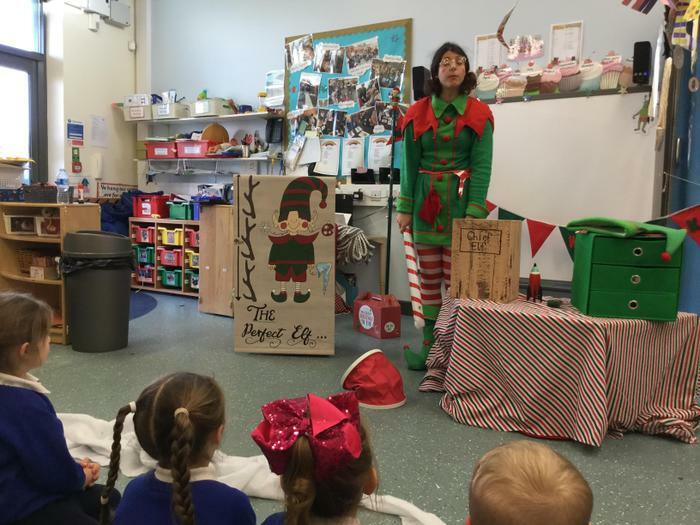 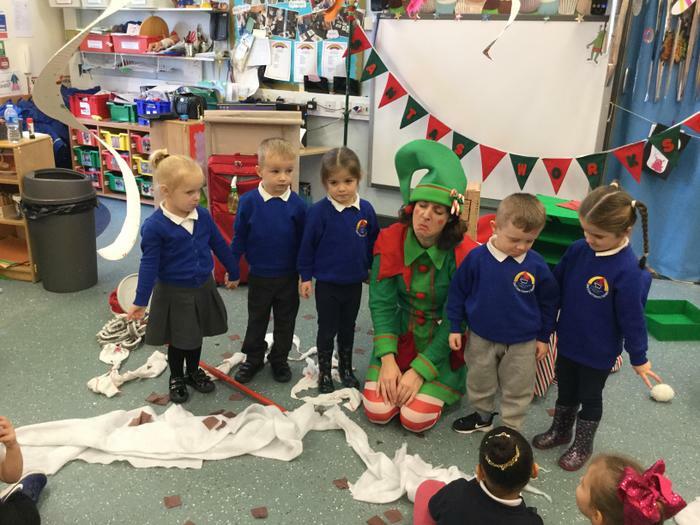 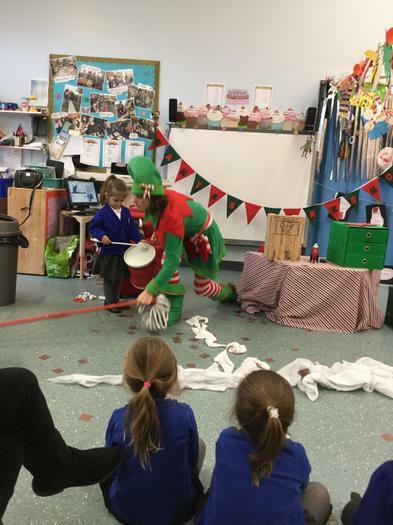 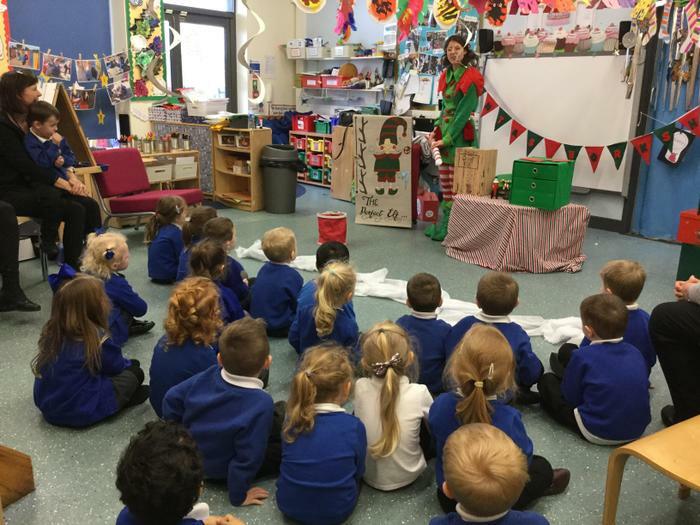 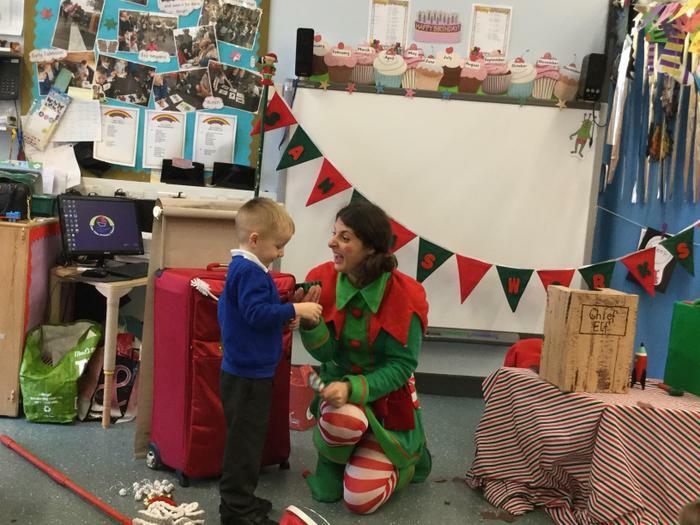 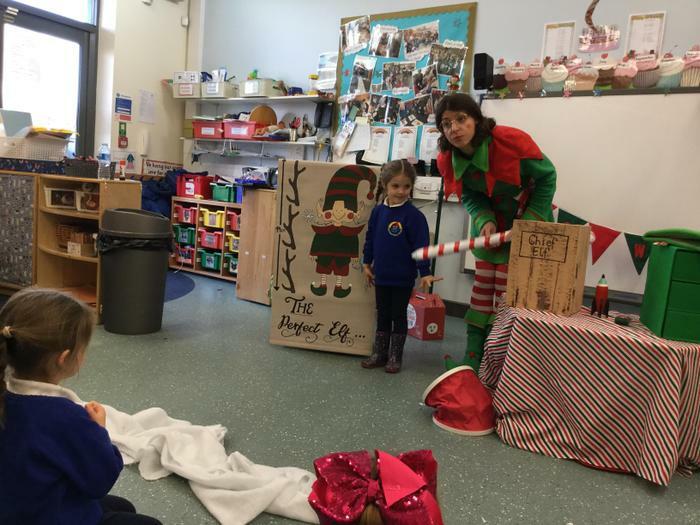 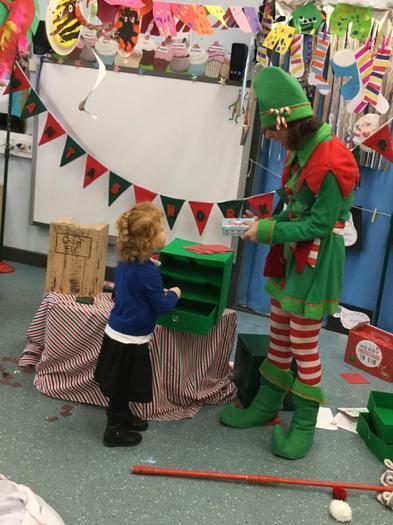 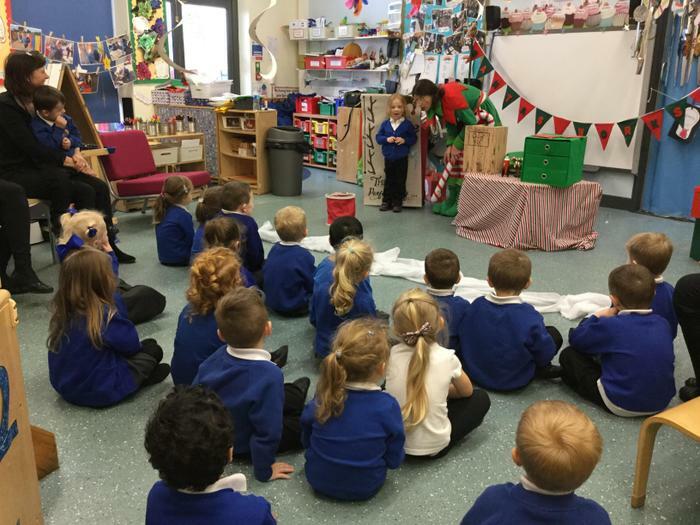 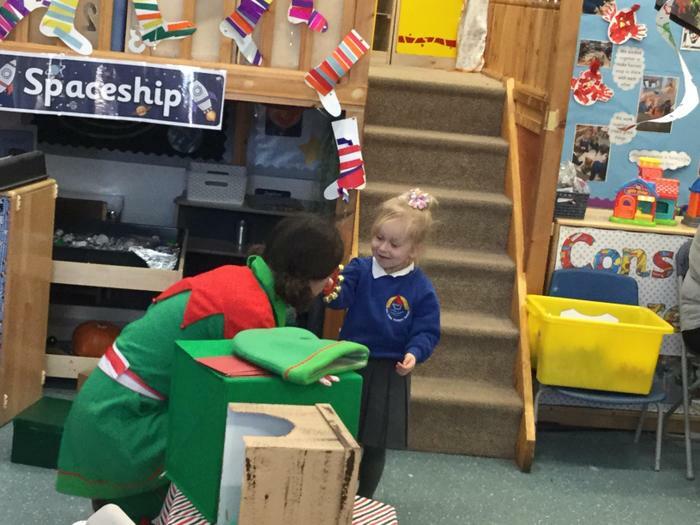 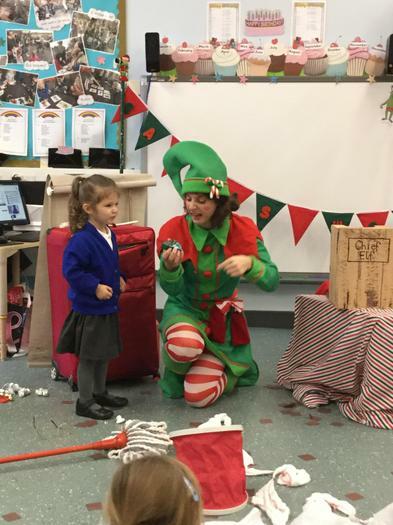 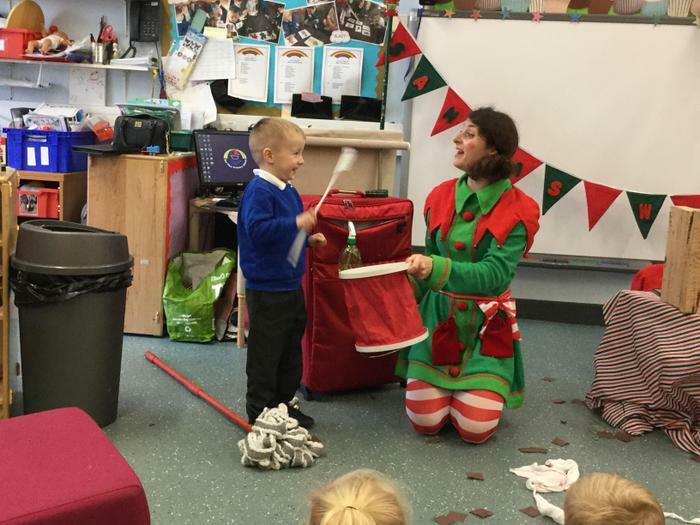 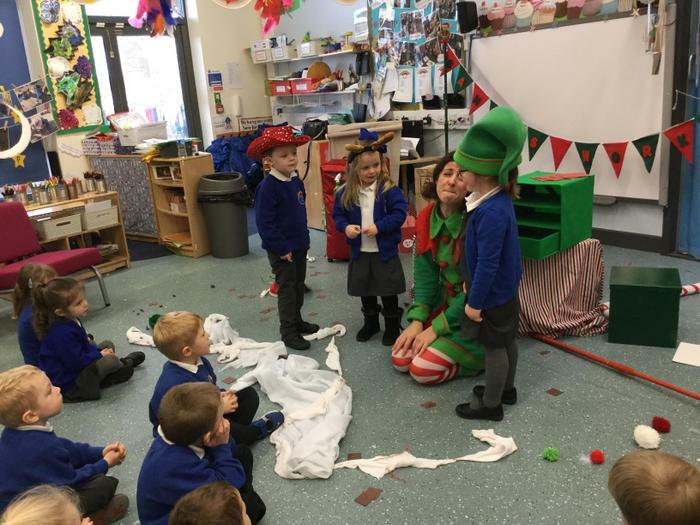 We helped the elf to save Christmas! 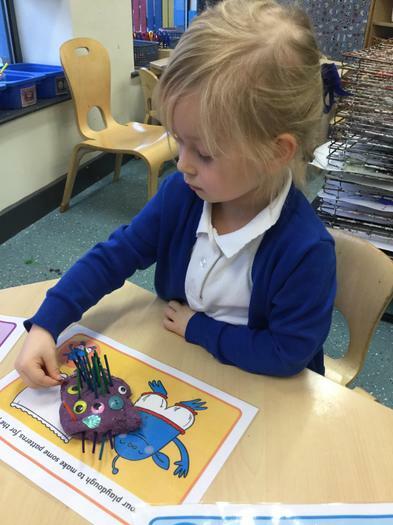 We have been making clay diva lamps for Diwali. 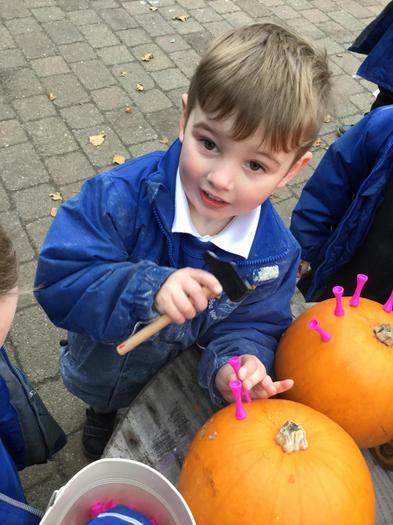 We had fun on Halloween making pumpkin faces. 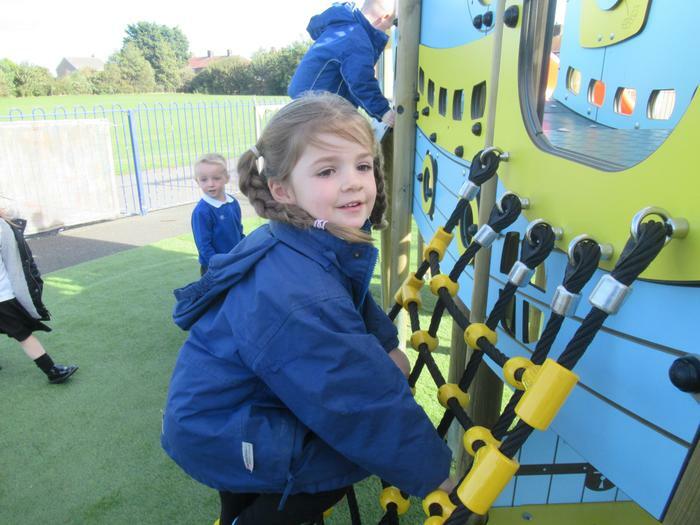 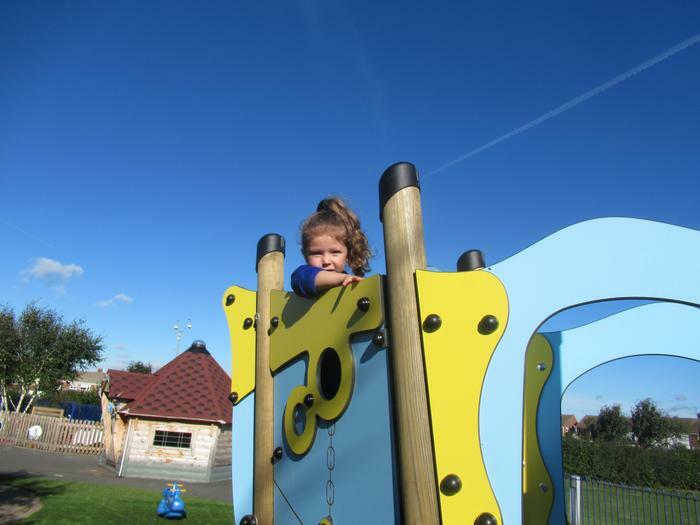 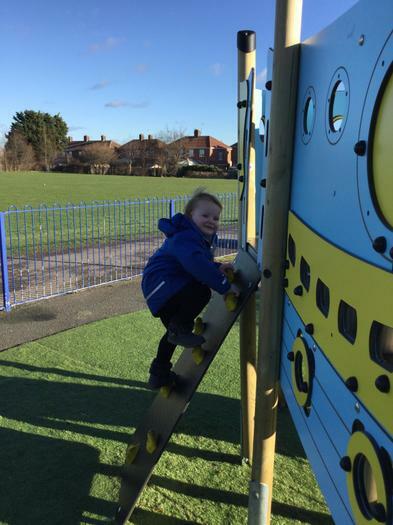 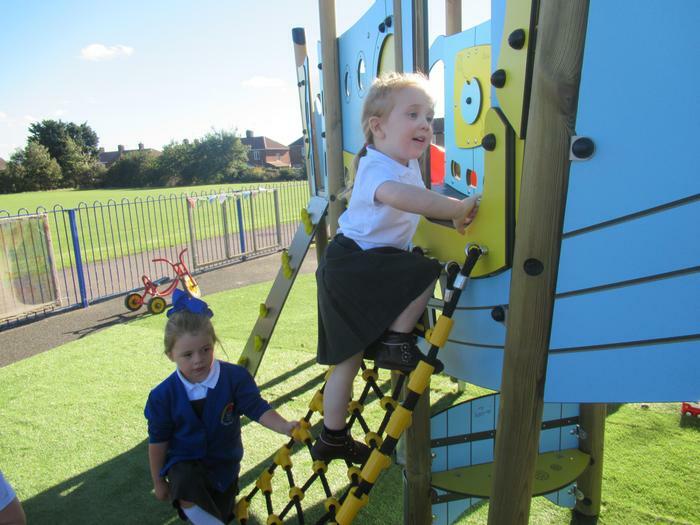 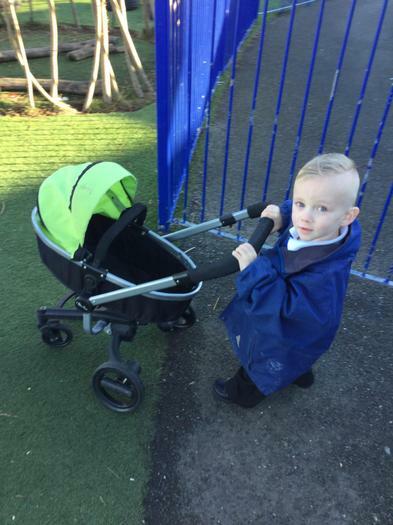 This term we have been exploring the newly installed climbing equipment in the early years yard. 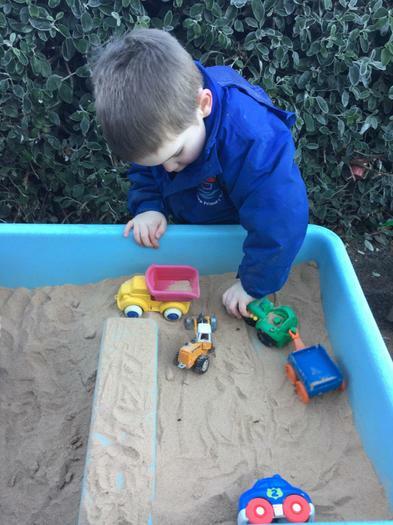 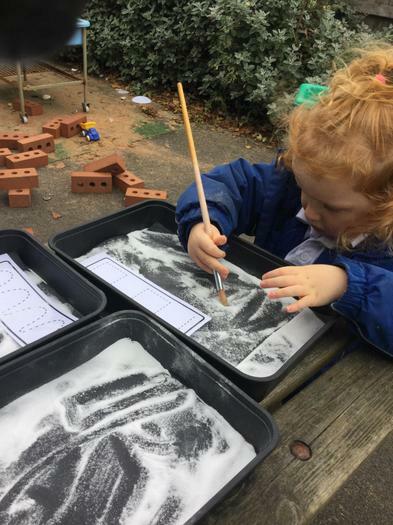 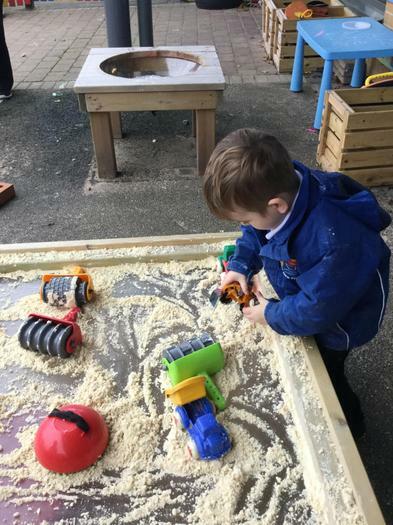 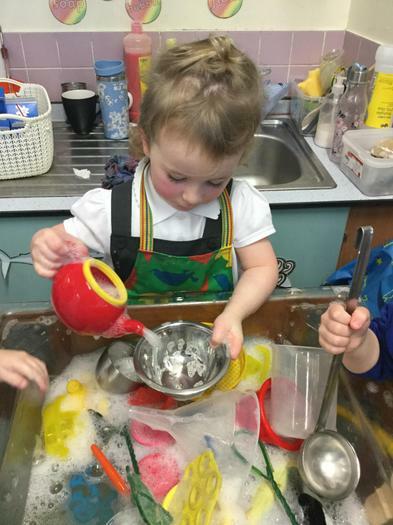 We love using the mud kitchen. 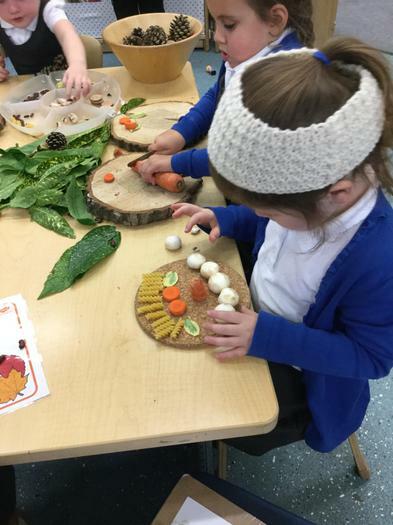 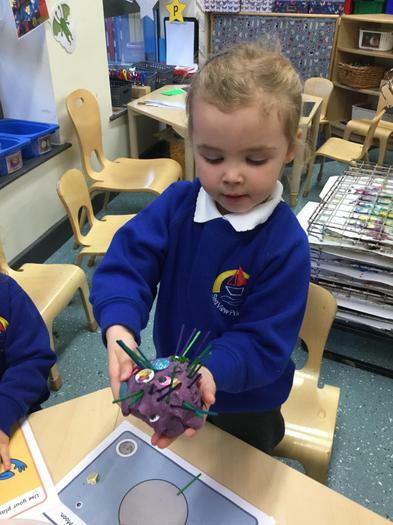 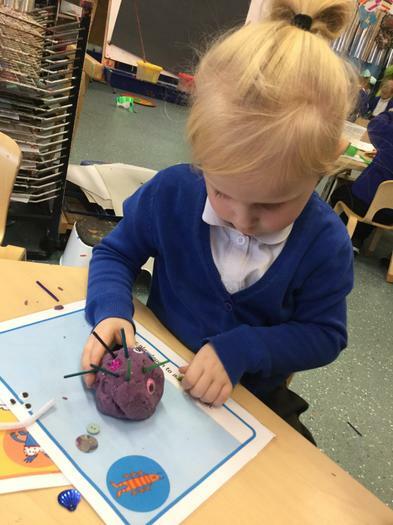 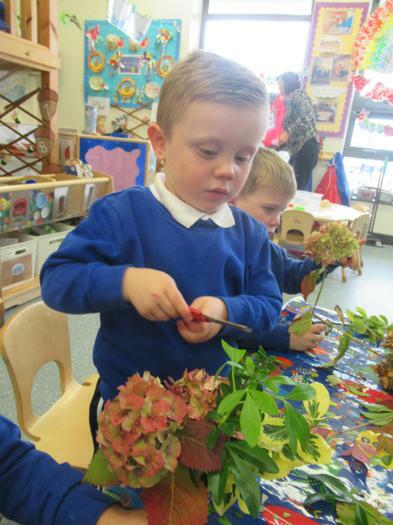 We have been making Autumn gardens and faces using natural materials.